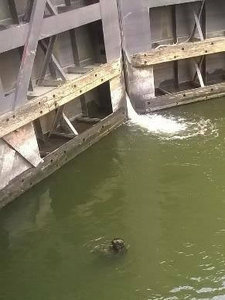 Margaret sent along this pic: "I saw this on Lark Street [Tuesday] between Clinton and Sheridan streets. Awesome urban hunter. Poor squirrel." 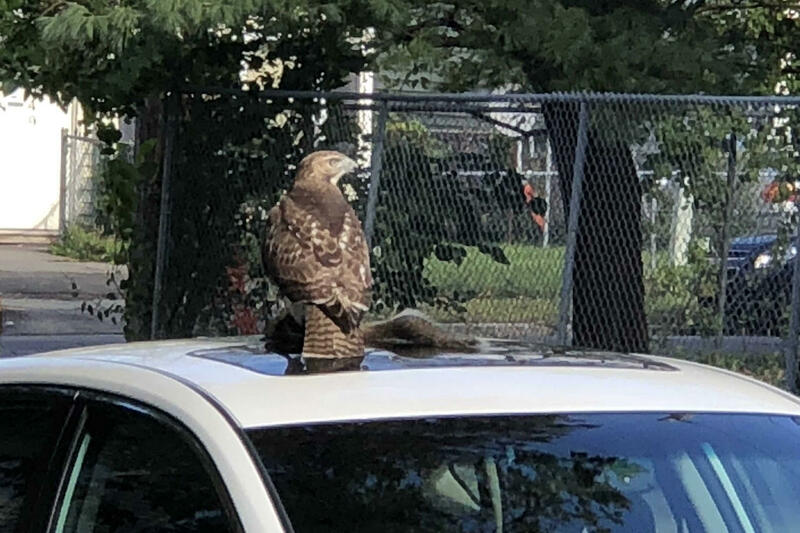 We've been surprised how often we've seen hawks hunting for squirrels in various Albany neighborhoods. Two years ago a hawk swooped right by while we we were walking along Myrtle Ave in Pine Hills, narrowly missing a squirrel in the street. But on two other occasions we've seen hawks successfully grab their prey. Seeing that happen always instills a sense of awe at the speed and silence involved -- mixed with a tiny bit of "hmm, maybe next time it's me." If the hawks and crows ever join forces, it's over. Also: Someone really should have explained to the bird that Hawk Street is a few blocks over. The cold nights arrive. The leaves fall. And the crow dispersal trucks migrate back to the city of the Albany. The dispersal will take place in the areas surrounding Hackett Blvd. and Sheridan Blvd. in Albany. The City of Albany requested assistance to scatter the crows because of their droppings and the ruckus they create. 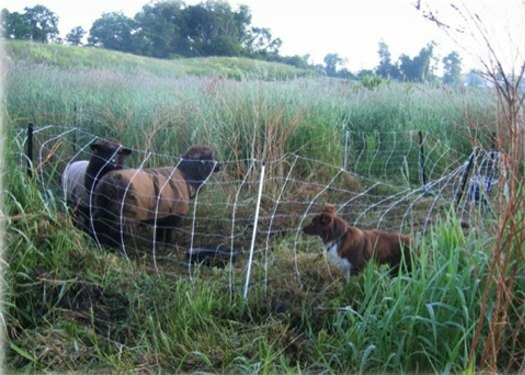 The non-lethal dispersal will be conducted by wildlife biologists from the Animal and Plant Health Inspection Service, Wildlife Services, part of the U.S. Department of Agriculture. They will be driving marked vehicles and wearing uniforms and a yellow safety vest marked "USDA Wildlife Services." The work will be repeated at two-week intervals throughout winter where roosts develop. 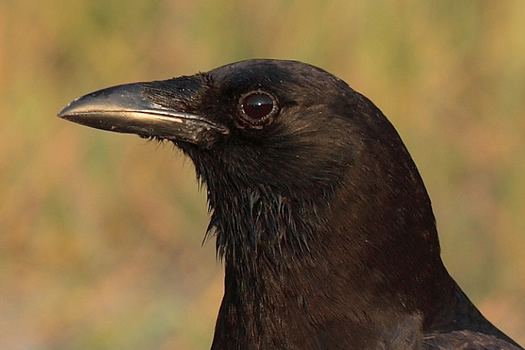 The non-lethal methods used to disperse crows include pyrotechnics, spotlights, non-harmful lasers, and recorded crow distress calls that are amplified. Several of these methods produce loud noises and flashing lights similar to sirens and fireworks that frighten birds and may be heard or observed by local residents. Residents are strongly encouraged to place household trash in containers with lids to discourage crows from feeding. Residents may also use bright flashlights to disperse crows roosting in trees. Look for the first sightings of the trucks in the evenings of November 20 and 21. They can easily be spotted with the naked eye, no binoculars needed. 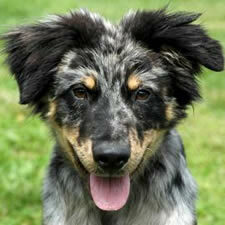 You may also learn to recognize their distinctive call if you listen for them. 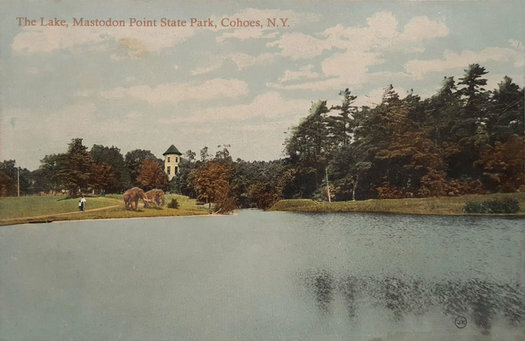 This year marks the 110th anniversary of the official formation of the Cohoes National Wildlife Refuge -- or, as most people here call it, the Cohoes Mastodon Park. 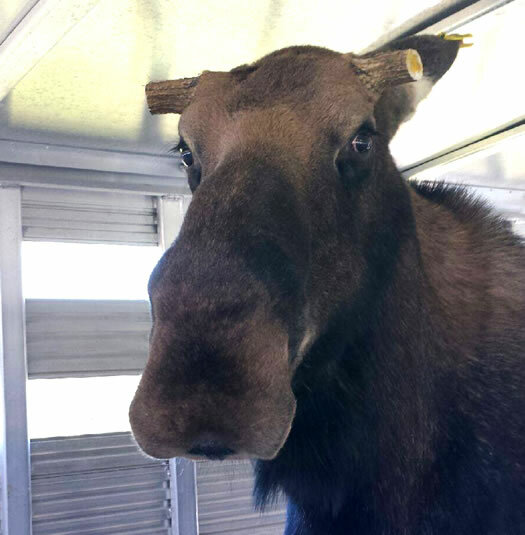 So we thought it'd be interesting to talk with Laura Claverack, manager of the refuge, about the history of the park, charismatic megafauna, and what the future holds for the park's population of mastodons. 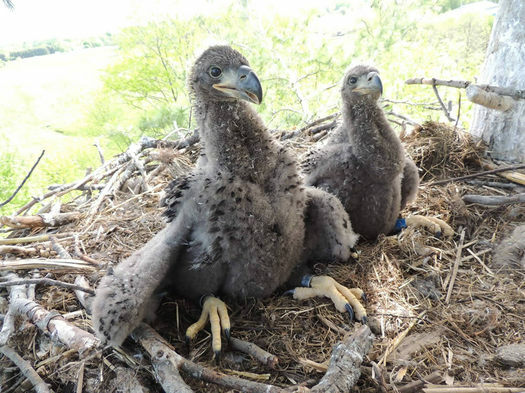 And now a short video clip of a bald eagle chick in Schoharie County that the state Department of Environmental Conservation posted on Twitter today because it's a short video clip of a bald eagle chick. The chick was recently banded as part of a conservation program. DEC figures there are now more than 400 nesting pairs of bald eagles in the state. The birds were almost entirely gone from the state by the 1960s, but a program that started in 1976 relocated eagles from other states and helped reestablish populations here. 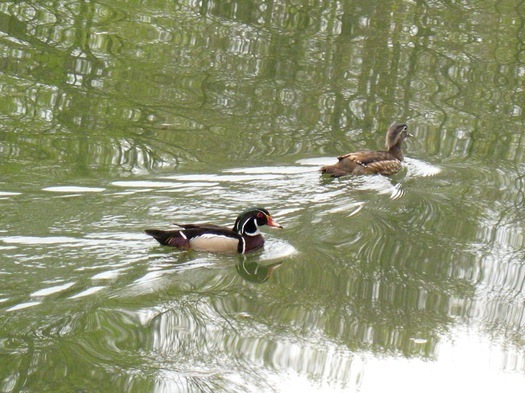 A good place to spot them in this area is along the Hudson River, at sites such as Peebles Island or Schodack Island. Updated Friday morning with comments from the APD spokesman. 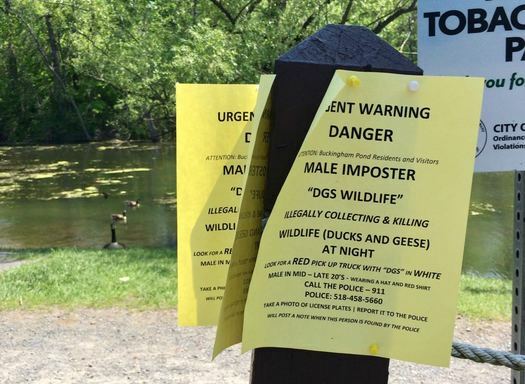 APD has confirmed sightings of an unknown person killing geese that reside at Buckingham pond. 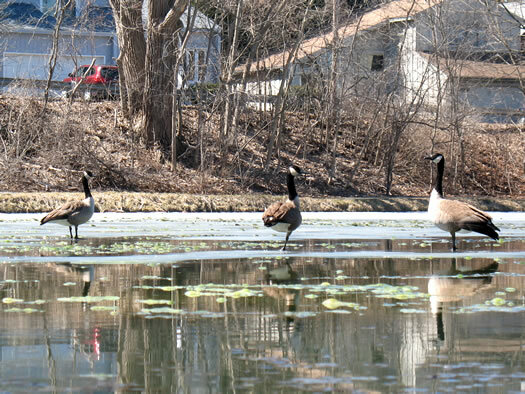 Killing Canadian Geese is in violation of Federal Fish/Wildlife and NYS EcCon Law. I ask that everyone keep a lookout to anyone who is in close proximity of these animals. It is possible that the suspect is a white male dressed in a blue uniform operating a red newer model pick up with the lettering "DGS Wildlife" on the side. If you see this suspect or vehicle at or about the park area notify the police immediately. There are also flyers at the pond near the playground with similar info. That's one of them above. Not local exactly, but... awwww. The state Department of Environmental Conservation shared this video clip on Twitter yesterday of red fox pups Canandaigua. 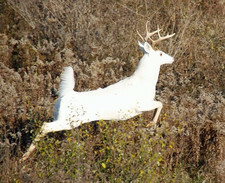 The video was captured by a trail camera set up by Dennis Money. DEC also posted a bunch of still photos of the pups on its Facebook page -- you can see them getting bigger across the photoset. Here's DEC's info page on red foxes. 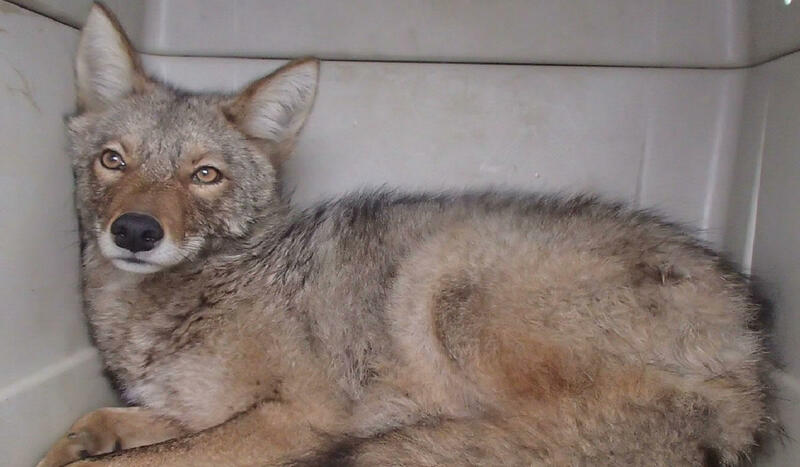 The agency reports that the animals are known to be in almost every county in the state, though their populations are under pressure from coyotes. "Expanding coyote populations (a potential predator of red fox) have pushed red fox further into residential areas in recent years." One of the cool things about woolly bears: They're able to freeze and thaw over the course of a winter -- and still survive. Oh, and the myth/tale/conjecture about woolly bears being able to predict the severity of a winter? It started in the Hudson Valley. 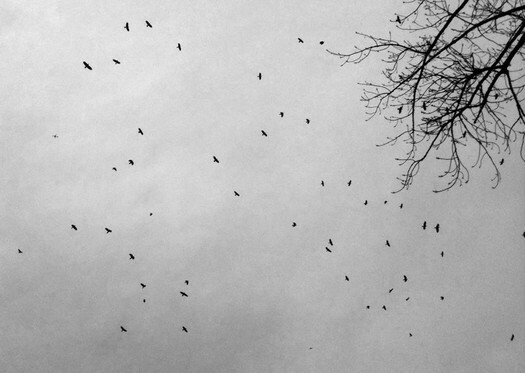 With the return of cold weather, the huge flocks of crows that roost in urban areas have also show up. And once again there is an effort to disperse them. 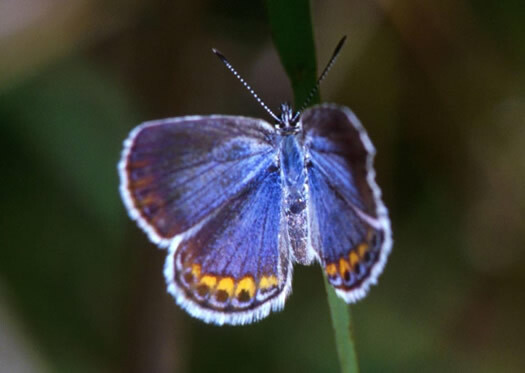 The non-lethal dispersal will be conducted by wildlife biologists from the Animal and Plant Health Inspection Service, Wildlife Services, part of the U.S. Department of Agriculture. They will be driving marked vehicles and wearing uniforms and a yellow safety vest marked "USDA Wildlife Services." The work will be repeated at two-week intervals throughout winter where roosts develop. 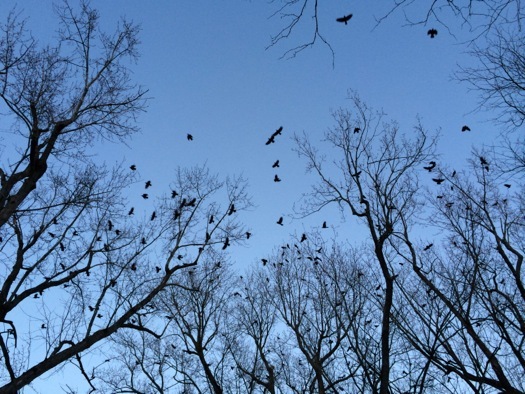 The crows can cause problems, as the press release notes, "because of their droppings and the ruckus they create." But we've come to appreciate their presence in winter -- they make the city feel more alive somehow. And there's some beauty in watching the flocks cross the sky at dusk. Also: Crows are very smart. And maybe having a good relationship with them will pay off during the inevitable avian uprising. 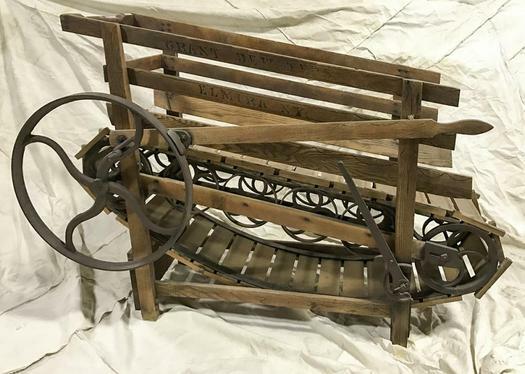 Last week we mentioned the State Museum's upcoming "Kids Curate" exhibit, for which kids can vote online about which items like they'd like to see featured. And among those items was one that caught our eye: a treadmill for dogs. Apparently other people found this interesting, too. So, here's a little bit more about that dog-powered treadmill. This photo was captured by a camera trap in the Pine Bush a few years ago. There are all sorts of animals that either live in, or make their ways through, the Albany Pine Bush: coyotes, porcupines, foxes, fishers, deer, and so on. While walking along Myrtle Ave near South Main Ave in Albany Monday afternoon, we heard this faint whooshing sound and then looked back to see this hawk swoop past, not more than a foot away, as it tried -- unsuccessfully -- to pluck a squirrel from the street. The squirrel took refuge under a parked car and let out a loud series of chirps, that we understand to mean, roughly translated: "HOLY @#$%^&* @#$%, DID YOU SEE THAT?!?!" We had a roughly similar reaction. A minute later the hawk took flight again, this time to check out some flattened squirrel remains in the street, stopping a car that was traveling along Myrtle. The hawk seemed unhurried by this situation, and after a few beats lazily took flight again to a nearby house gutter to watch the street again. Coyotes are famously stealthy, able to move through urban and suburban areas while rarely being noticed by people. 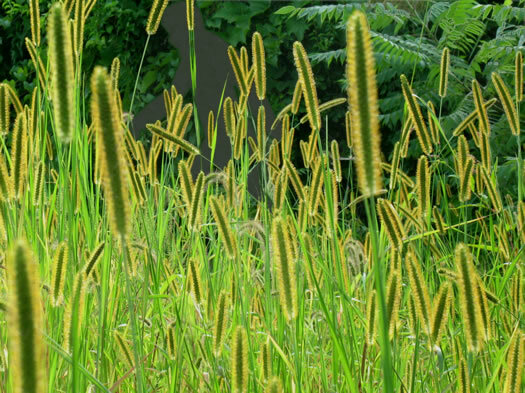 And in forested areas? Good luck. The Albany Pine Bush Preserve posted this spot-the-coyote clip on Youtube this week that demonstrates how well the animals blend in. It's a quick clip. Have a look. As it happens, coyotes are easier to spot when they stand and pose for the trail camera. And if you're thinking, "Coyotes? Here?" Yep. The animals have been moving into this part of the country over the last century. And there's research done by scientists who were/are at the State Museum that some of the coyotes in this part country are actually coyote/wolf hybrids (coywolves). A bunch of years ago one of the scientists, who studies urban wildlife, told us research indicated the Albany area is a "population sink" for coyotes -- they move in from more rural areas, but don't end lasting long because they get hit by cars. Earlier this month in the Altamont Enterprise, Melissa Hale-Spencer wrote a really interesting article about coyotes in the Hill Towns. 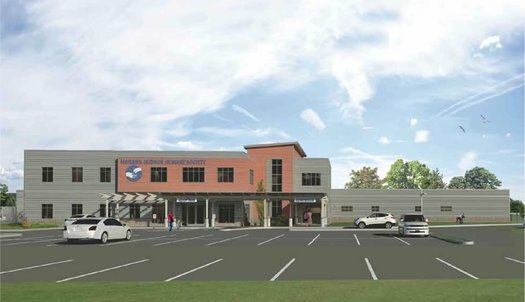 The Mohawk Hudson Humane Society formally broke ground Tuesday on a new $7.2 million facility near its current site in Menands. The org says the new animal care shelter will increase the space it has by 2/3, and it will allow housing for an additional 150 animals. It also says animal housing in general will be more spacious and comfortable for the animals. The facility will also include expanded surgical space. 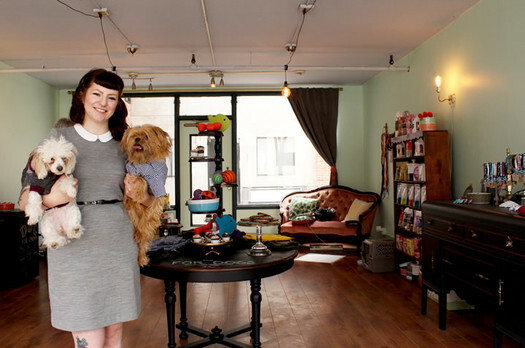 Mohawk Hudson says that will allow it to perform more procedures and expand its free or low-cost spay and neuter programs. The org says it's more than halfway to its fundraising goal for the project. There's info online if you'd like to donate. Mohawk Hudson says some of its current facility date back to a century ago. They'll be torn down after the new building is finished, which is projected to be in summer of 2017. Here are some large-format renderings and plans, if you're curious. We heard the tweet and pic embedded above weren't showing up for some people so here's the direct link. 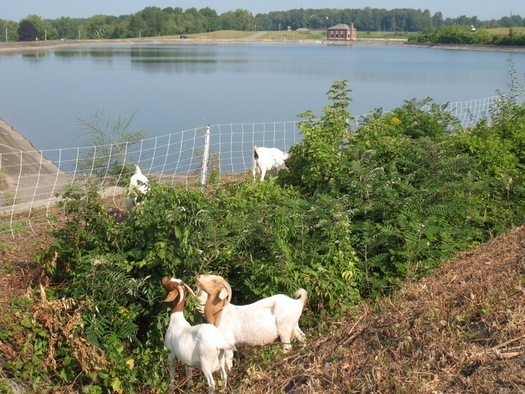 Noted: The sequel to Reservoir Goats apparently has a green light. 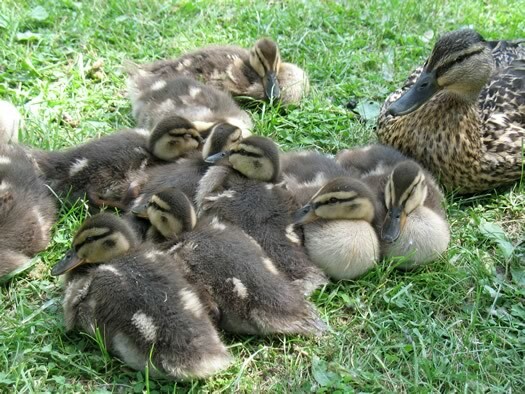 It really is spring: The popular baby animal days at Hancock Shaker Village start this coming Saturday, April 16 and run through May 8. Adult admission is $20 / $8 for kids 13-17 / and free for kids 12 an under. 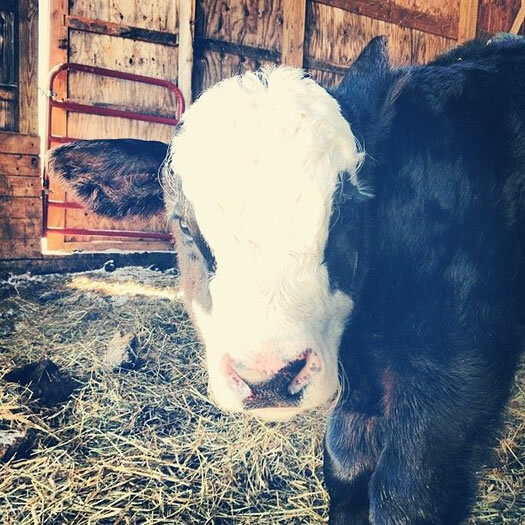 There's also a behind-the-scenes farm tour available, with "the opportunity to meet, hold and bottle-feed some of the newborn animals in a reserved area." Tickets for that are $27 or $30 depending on the day. 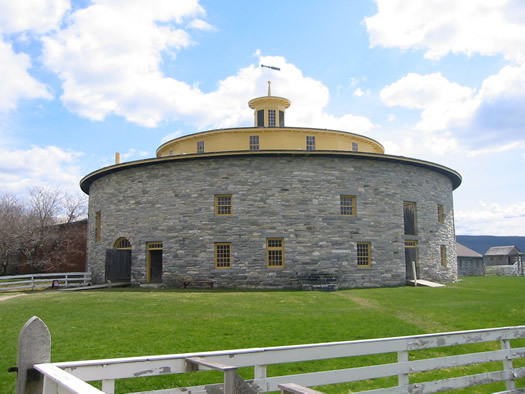 Hancock Shaker Village is a village, museum, and farm on a Shaker site in Pittsfield, Massachusetts -- about 40 minutes from Albany. 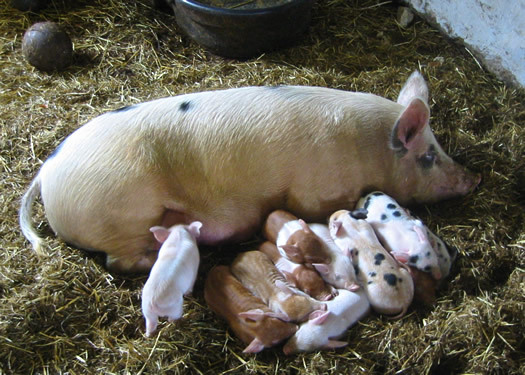 A bunch of years ago, Dawn wrote about visiting for baby animal days. Indian Ladder Farms in Altamont also has baby animal days. They're May 7-22 this year. Admission is $5 per child / free for an adult accompanying a child. As one does in Saratoga. Albany Archives pointed out today that Saratoga Springs had an ostrich farm back around the beginning of the 20th century. 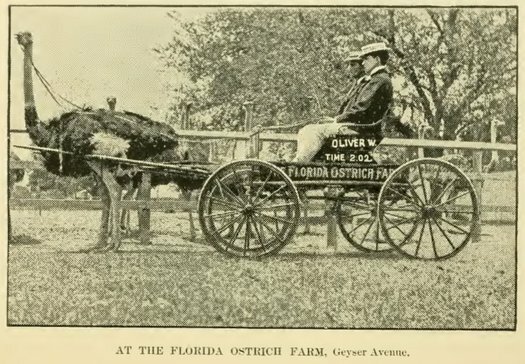 And something about this photo of people riding in an ostrich-drawn cart made us want to know more. on Geyser Avenue, about a half mile from the village, is one of the entertaining sights of Saratoga and is a unique feature. 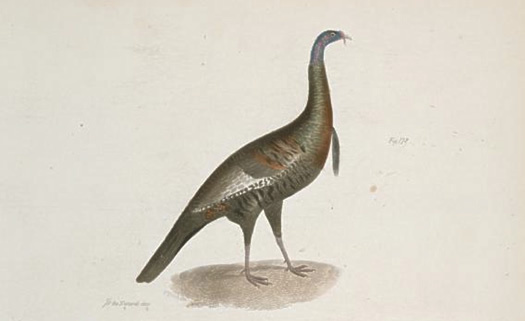 Here in an enclosure of about two acres are exhibited some of the finest specimens of African ostriches, Chinese golden pheasants, and English pheasants that are to be found in any country. Birds of all ages are here to be seen with various developments of plumage--from the slender pin feathers of the baby birds a few days old to luxuriant and brilliant plumages of the full-grown ostrich weighing 250 to 300 pounds each. Most of the ostriches have been brought to Saratoga from the celebrated ostrich farms in Florida, Arizona, and California, but some of the wee birds have first seen the light in the buoyant Saratoga atmosphere. Each pair of breeding birds is kept in a small corral of about 50 by 150 feet, and are fed on clover, hay, corn, oats, barley, etc. The younger birds roam in troops in larger enclosures, and a group of birds running with their wings out- spread, alarmed, it may be, at some unusual sight, is a most beautiful spectacle. 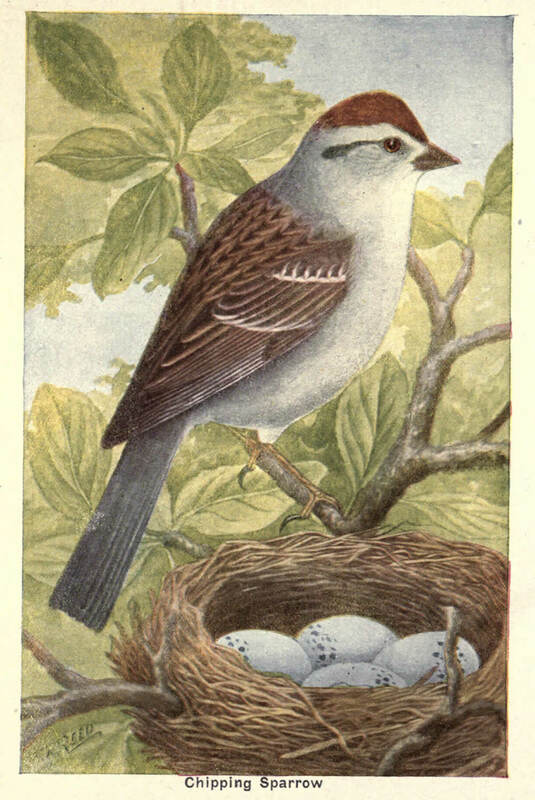 The birds are all named, and some of the breeding birds bear the names of such distinguished magnates as President McKinley, Queen Victoria, Mark Hanna, Joe Wheeler, Napoleon and Josephine, Admiral Dewey and Miss Manila, etc. I'm a majestic, flying killing machine. What of it? 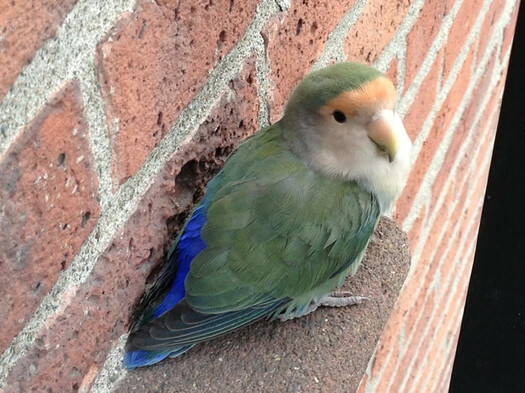 We spotted this bird chilling along a residential street in uptown Albany this week. At first it was on lawn, and then flew into a nearby tree on the power of a few wing beats. 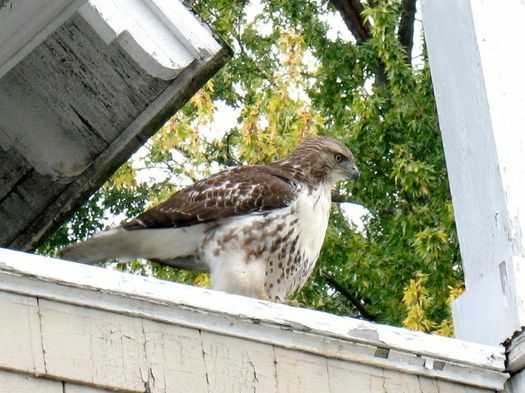 We see hawks around uptown Albany often, usually soaring high in the sky (though last fall we watched one pluck a squirrel from a lawn). It was really beautiful to see at close range. 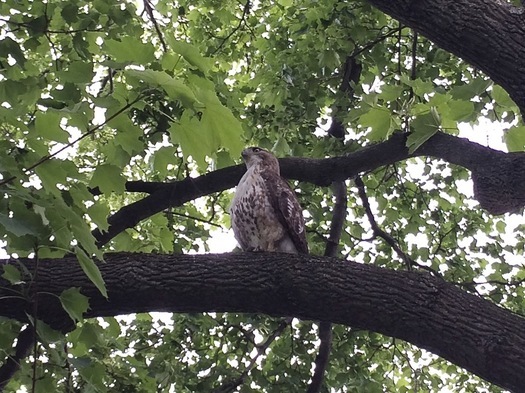 Update: We sent the pics to State Museum curator of birds Jeremy Kirchman and he confirmed that it's a red-tailed hawk. Dogs equipped with lasers might sound over the top. But the Canada goose is a persistent foe. Green Island mayor Ellen McNulty-Ryan and her trusty pyrotechnic gun serve as one of this region's bulwarks against the invading hordes of Canada geese -- and crows! -- as highlighted by the Times Union again today. And the TU story prompted a range of reactions: tsk-tsking, tittering, Oh-Green-Island-ing, and Â¯\_(ãƒ„)_/Â¯. Our reaction: Green Island should go to the dogs. Really. 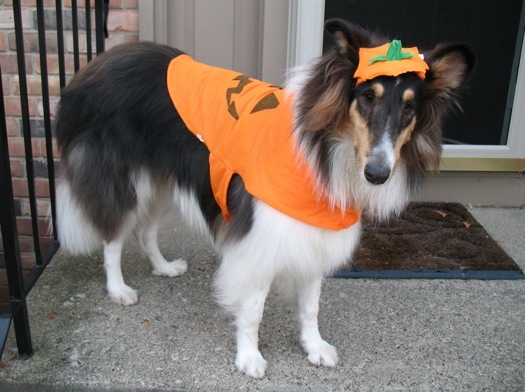 The town/village should get some dogs. 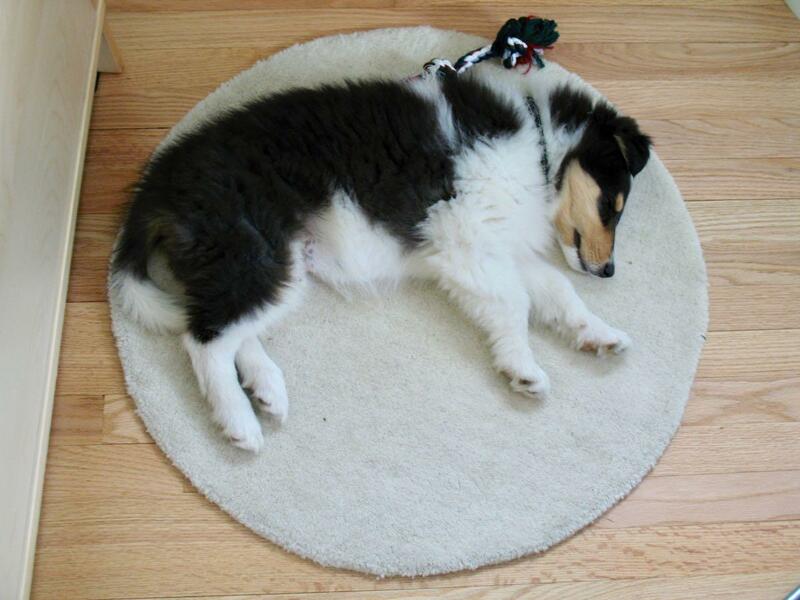 Border collies, probably. 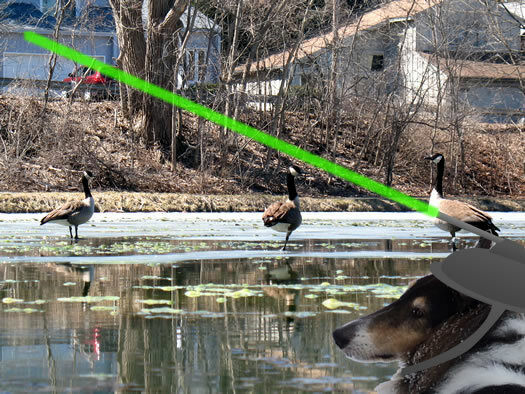 Canada geese are a problem in many places, and people have tried all sorts of ways to scare off the birds. And there's research that indicates using dogs is the most effective option. This past Tuesday was International Beaver Day. No, we didn't have marked on our calendar, either. It was a gross oversight on our part. It's too bad that we missed the day because beavers played an important role in Albany's history. 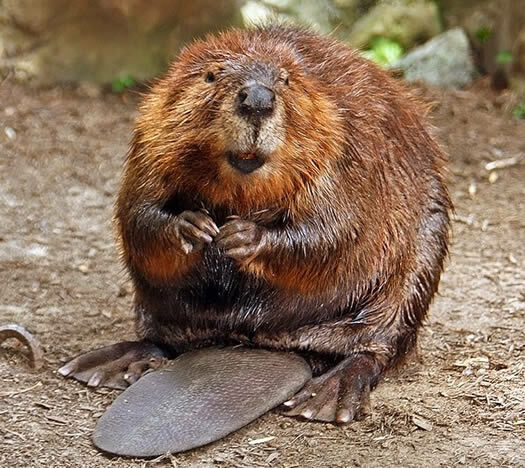 In fact, to some degree, Albany exists because of beavers. Maybe downtown Albany should have its own enclosed nature preserve. 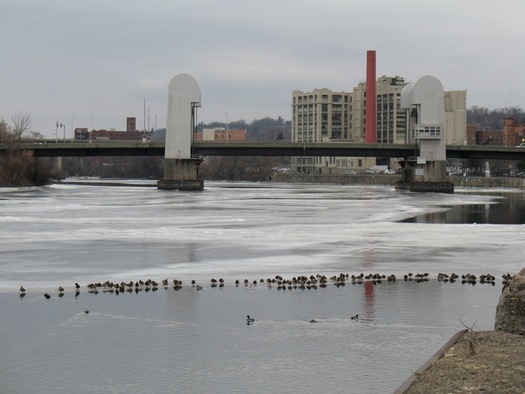 As winter gathers, so too will the crows in many urban locations around the Capital Region. And Albany has once again called in the feds and their fireworks to disperse the avian hordes. The non-lethal methods include pyrotechnics, spotlights, non-harmful lasers, and amplified, recorded crow distress calls. Several of these methods produce loud noises and flashing lights (similar to sirens and fireworks) that frighten birds and may be heard or observed by local residents. 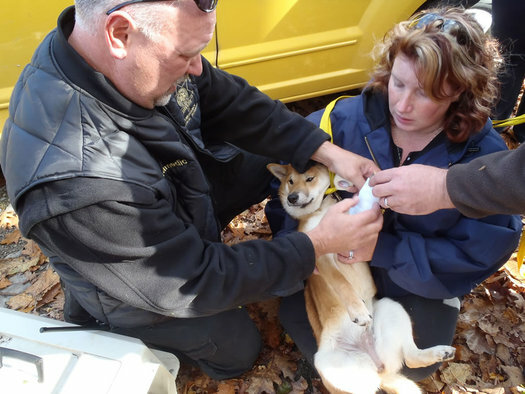 The dispersal is done by employees of the Agricultural Department's Wildlife Services and the Animal and Plant Health Inspection Service who wear uniforms and orange vests marked "USDA Wildlife Services." Residents are strongly encouraged to place household trash in garbage cans with lids to prevent crows from settling in the city. Residents may also use bright flashlights to disperse crows roosting in trees on their property. The city cites the noise and droppings from the crows as the reason behind yet another campaign. And we get that -- nobody likes a huge amount of bird poop dropped in their neighborhood. But we're starting to get the sense these measures aren't necessarily working. So, what else is there? Well... A group of USDA researchers reported a few year back that they had success using "effigies" -- that is, fake crows and, um, actual dead crows hung upside-down from trees -- to dissuade crows from roosting in an area. It's becoming clear that none of us will escape the War on Crows unchanged. Maybe it's time to discuss a treaty. 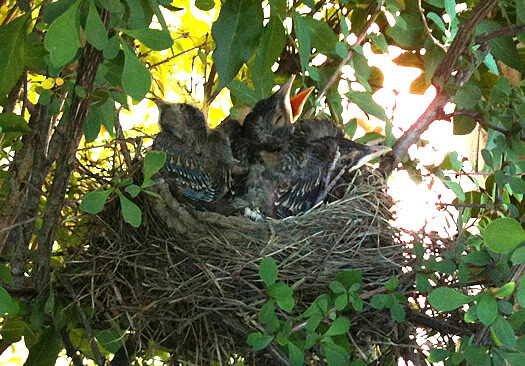 It's been fun catching a few quick glimpses over the last week as these baby birds grow. At some point that nest is probably going to turn from cozy to crowded. 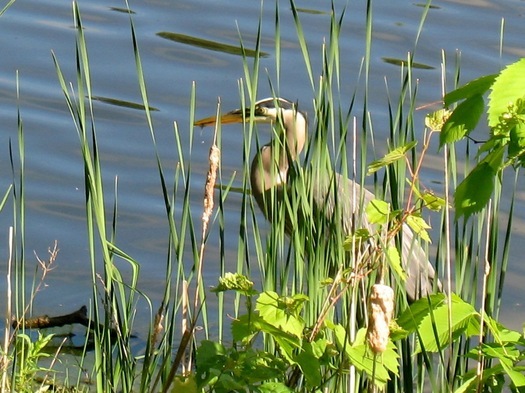 While walking the office dog today we spotted a heron fishing along one of the banks of Buckingham Pond in uptown Albany. A few more pics if you're interested. Related, but completely non-local: Over at the RadioLab blog last month there was a very interesting interview with an artist who creates renderings of dinosaurs based on scientific research and clues from modern animals. 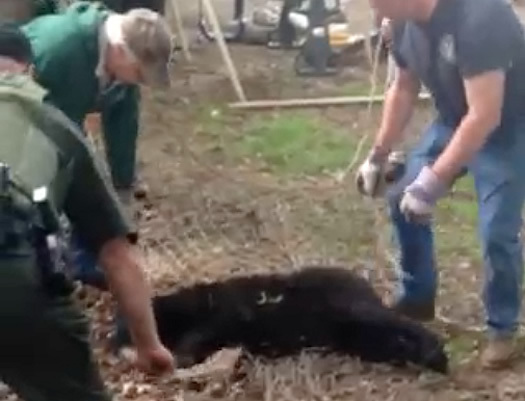 Update Wednesday 5:10 pm: DEC says the bear has been euthanized. Here's video of the bear after it fell to the ground, and a bit more about the timeline leading up to the situation. 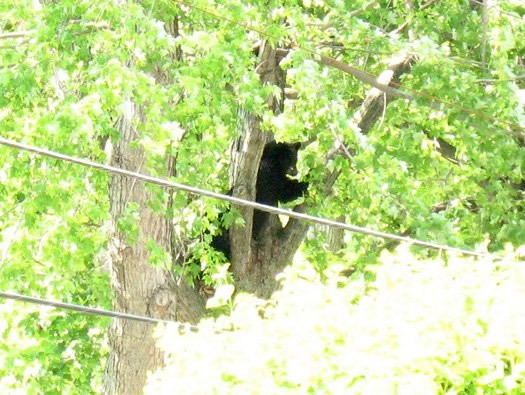 A young bear got caught in tree in Albany's Whitehall neighborhood Tuesday afternoon. Officers from the NYS Department of Environmental Conservation and the Albany Police Department had gathered to keep watch on the bear, which was shifting a bit in the tree but otherwise not moving. Word was that the bear had been hit with a tranquilizer gun and officers were waiting for it climb down and/or fall out. (That's pretty much the standard procedure in these situations.) 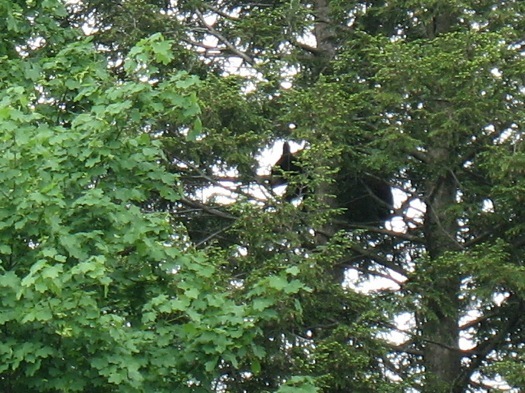 APD spokesman Steve Smith said they'd gotten the first call about the bear after a sighting in the Mt. Hope neighborhood on Albany's South Side this morning, but he had heard the DEC had been tracking it from Bethlehem. The bear showed up in the tree between Rose Court and Clayton Place around noon (map). It was estimated to to weight less than 200 pounds, and it was high up in an evergreen tree -- maybe 60 feet. 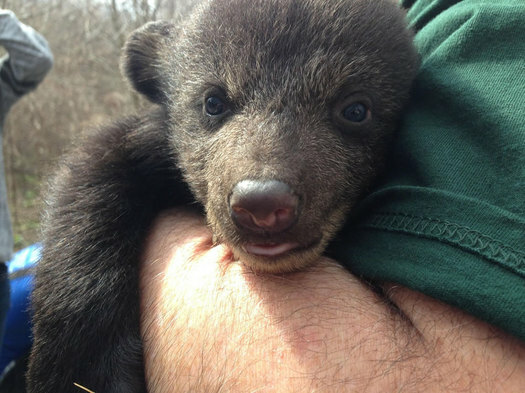 It's not all that uncommon for a bear cub to show up in Albany or more urban parts of the Capital Region. 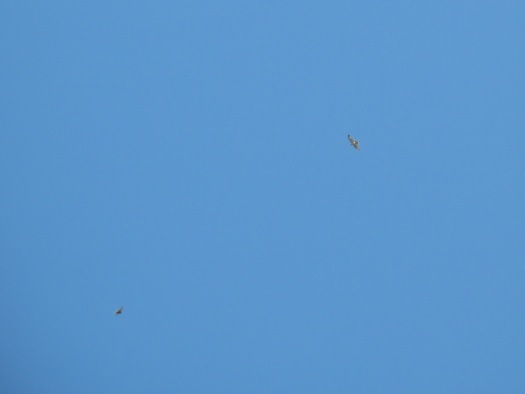 While taking a break today to watch the wispy white clouds slowly pass by we noticed these two hawks (?) coasting around the sky blue sky in uptown Albany. On Buckingham Pond. We're calling fowl. Isn't that just like Canada geese, thinking they can walk on water. A spring arrives (finally), it's about that time the large flocks of crows that hang out in neighborhoods such as uptown Albany and other spots around the area go... well, wherever it is they go in the summer. The flocks are regarded as nuisances -- see the USDA trucks that shoot noisemakers at them -- but over the last few winters we've come to appreciate them as chatty winter-time neighbors, a sign of life during the cold months. Crows are bored. They suffer from being too intelligent for their station in life. 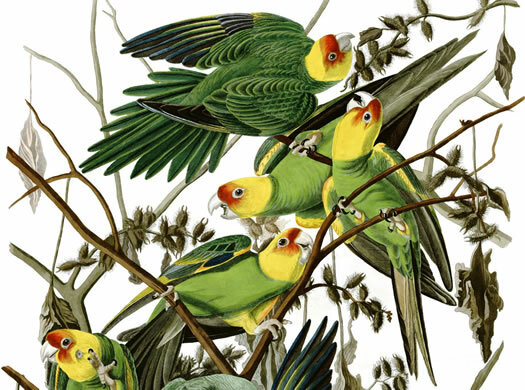 Respectable evolutionary success is simply not, for these brainy and complex birds, enough. They are dissatisfied with the narrow goals and horizons of that tired old Darwinian struggle. On the lookout for a new challenge. See them there, lined up conspiratorially along a fence rail or a high wire, shoulder to shoulder, alert, self-contained, missing nothing. Feeling discreetly thwarted. Waiting, like an ambitious understudy, for their break. Dolphins and whales and chimpanzees get all the fawning publicity, great fuss made over their near-human intelligence. But don't be fooled. Crows are not stupid. Far from it. They are merely underachievers. They are bored. That clip is via Smithsonian mag, which had a post this week pointing out that crows understand water displacement. As the crows leave and the ice melts, the Canada geese have returned. And they're rather rude. We'd take the crows over the geese any day. Today's moment of baby animals: These goat kids -- all five of them -- were born from the same mother this week at SUNY Cobleskill's livestock barn. 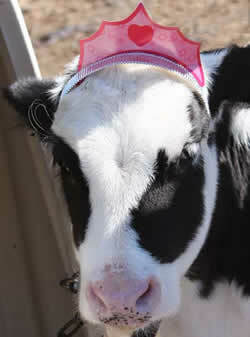 This is [university livestock manager Donna] Cappadona's 15th year running the livestock program at the university. In that time, more than 400 goats gave birth. Before that she ran a goat farm in Perth. 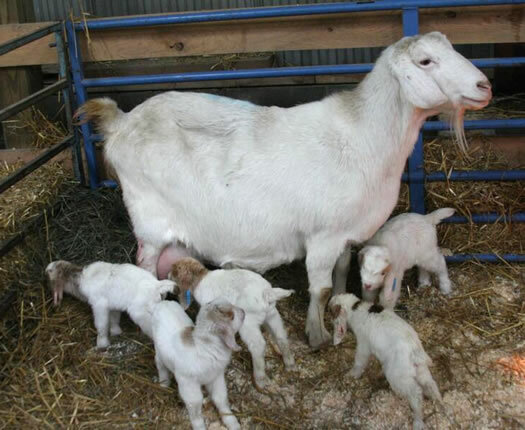 In all her years of witnessing the start of new goat lives, she never saw a set of quintuplets, and only once saw quadruplets. By the time she got to the barn Tuesday morning, after an hourlong drive from her Perth home, all five kids were out in the world, cleaned up and doing fine. 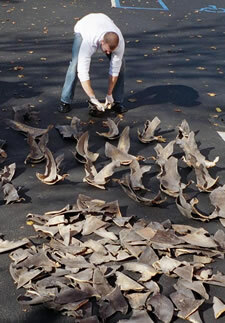 "You'd think they'd be small," Pinckney said, "with so many of them in there, but they're all pretty big." By pretty big, she means 8 pounds or so each, all carried by a mother goat weighing roughly 200 pounds -- an impressive feat of strength beyond the surprising powers of fertility. 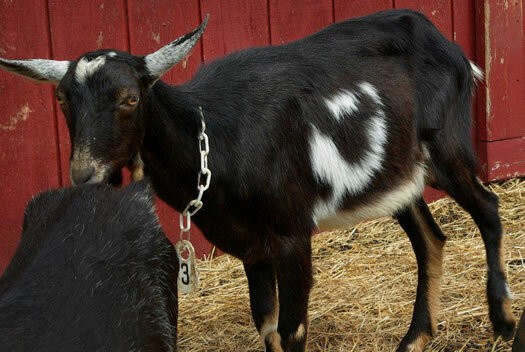 When the goat quints reach age, they'll either join the college's herd or be sold to other farmers. 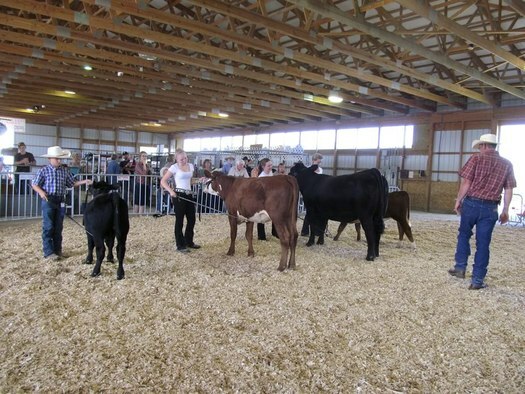 Also: The SUNY Cobleskill livestock barn is apparently open for tours from the public. Here are a few more details. Here's a larger, uncropped photo. 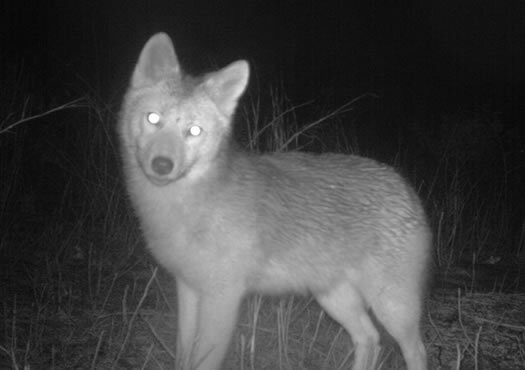 The Albany Pine Bush Preserve captured this photo of a coyote with one of its camera traps recently. The way the coyote has its head cocked, it almost has this expression of "Huh, what it's that... (camera snap)." The Pine Bush uses a handful of motion-activated camera traps to observe animals in the preserve, including foxes, deer, and turkeys. More than 30 mallard ducks. A Saratoga Springs CVS (presumably the one near the park). Hijinks ensue. The best line was probably from Gawker: "Terrifying Ducks Take Over a CVS in Laziest Birds Remake Yet." 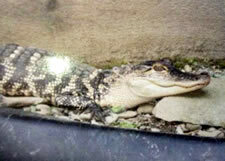 State Police in New Lebanon are asking for the public's assistance in locating a missing alligator named Kobe. 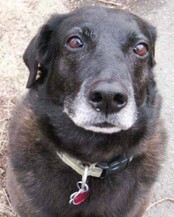 Kobe absconded from his cage last night in the Cemetery Road area of New Lebanon. Kobe's owner states he was last seen wearing a blue collar. 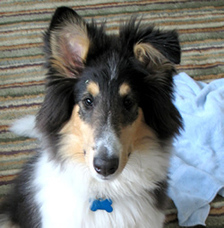 If you see Kobe, please contact the State Police at (845) 677-7300. For safety reasons, do not approach Kobe. New Lebanon is in northern Columbia County near the Rensselaer County line. Today's moment of nature: a grey tree frog signing at night in the Albany Pine Bush. Speaking of sounds at the Pine Bush... 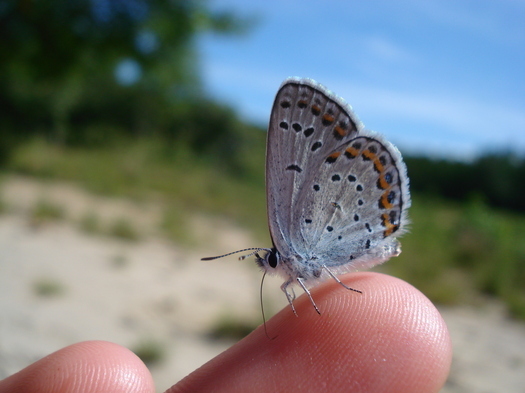 There's a "World Listening Day" hike planned for this Thursday (July 18) to "explore the sounds of the Pine Bush, [and] discover how sound plays an important role in conservation." The hike is at 5 pm. It's $3 per person / $5 per family. Pre-registration required. At the risk of sounding like a crazy cat lady, I need help finding a groomer for my cat. Newborn baby + slightly neglected long haired cat = a total mess. We had a not so good experience with the vet recommended groomer. I appreciate the help! So, anyone have a suggestion for Jennifer and her cat? Please share! Earlier on AOA: Ask AOA: Veterinarian care for cats? Friday morning I found my dog Lucy staring intently into our fireplace. When I investigated what was arousing her interest I saw that this amazing bird [photo above] had gotten into the fireplace by coming down the chimney! Luckily for me, the fireplace screen had prevented the bird from just flying into my living room. 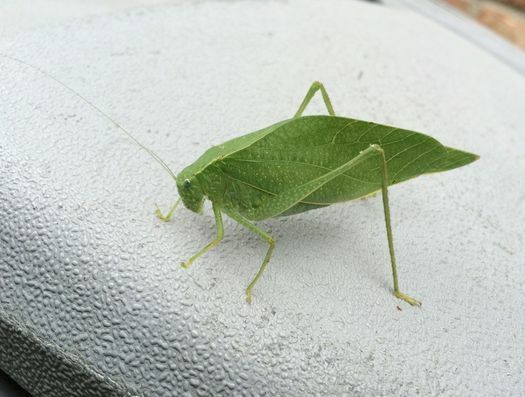 I was able to gently capture it with a large aquarium net and I brought it out to my front porch. After getting the net off, we sat together for about a minute - the bird chirped a few times and seemed very calm. I was starting to worry that the bird was injured and couldn't fly when all of a sudden it took off like a shot for the trees in Hudson-Jay Park. I went back inside, gave Lucy a dog treat and closed the chimney flue. After a quick Google search, I believe this is probably a juvenile Monk Parrot. I also found that this may not be the first time they have visited Albany. 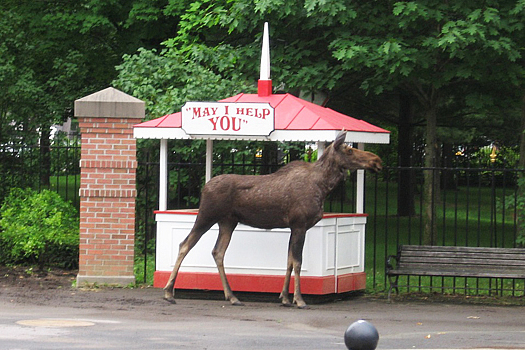 I'm looking forward to spotting my new neighbors around Center Square this summer. In some places the birds are regarded as nuisances because they nest on utility poles and other power system equipment. Update: In the comments Chrissy and Drew note the bird looks like a lovebird, a different type of parrot. Today's moment of whatever: a squirrel eating a french fry on Holland Ave in Albany -- and wondering just what exactly you're looking at. 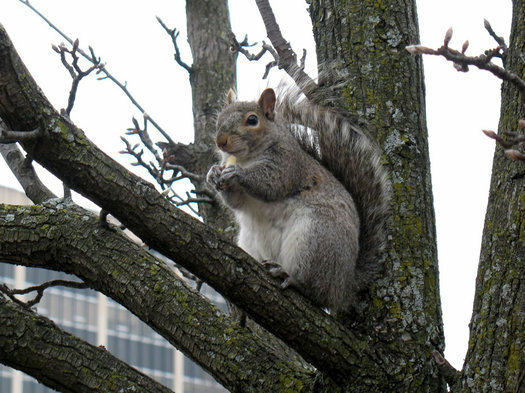 What, you've never seen a squirrel eat a french fry before? Move along. For in Truth the Turkey is in Comparison a much more respectable Bird, and withal a true original Native of America... He is besides, though a little vain & silly, a Bird of Courage, and would not hesitate to attack a Grenadier of the British Guards who should presume to invade his Farm Yard with a red Coat on. So turkeys go with this country like cranberries go with, uh... turkey. Even so, we're always a bit surprised -- and it makes us smile -- to see wild turkeys hanging out in residential areas of the Capital Region. As they peck their way through a neighbor's yard, the turkeys are just like, "What are you looking at?" The Albany Pine Bush Discovery Center has a program coming up about wild turkeys. So we bounced a few questions about the birds to Jacqueline Citriniti, an environmental educator at the center. It turns out wild turkeys a more interesting than a Butterball. Weird: we came across an item on Craigslist this week for a lost "pet" fox in the Troy area. 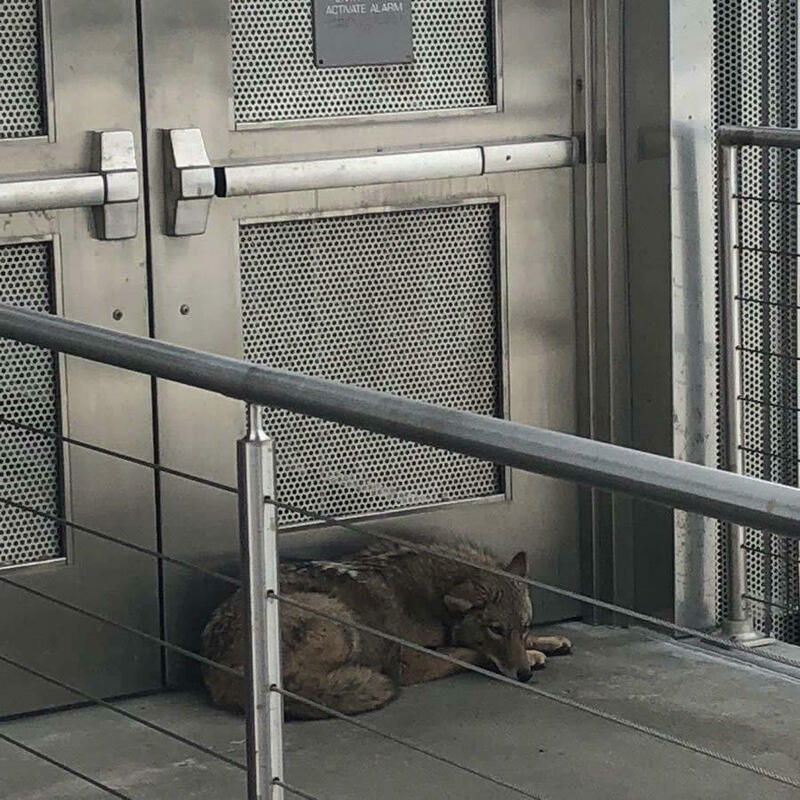 And though the gray fox has "a collar and tags and is up to date on all her shots," according to the listing, there was a warning that it had been trying to "play" with other pets and ended up getting into fights. The fox is apparently not afraid of people. 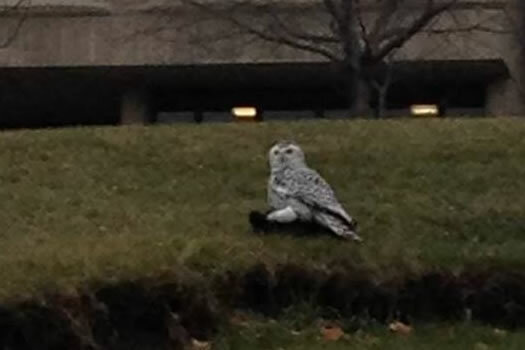 We are aware of this animal which is running loose with a collar and tags in the vicinity of RPI. 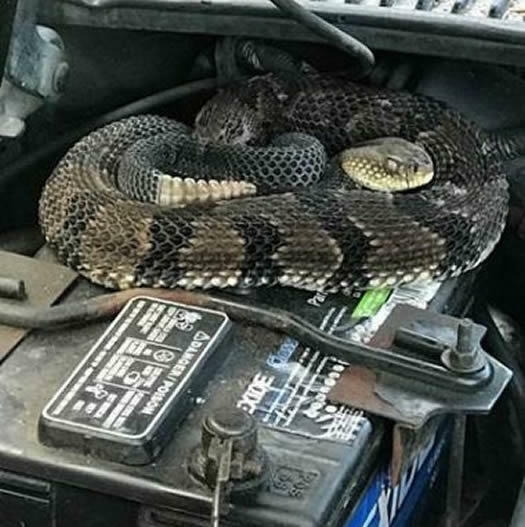 If the animal is caught it will be taken to a wildlife rehabilitator and the owner will be ticketed, if he can be found. 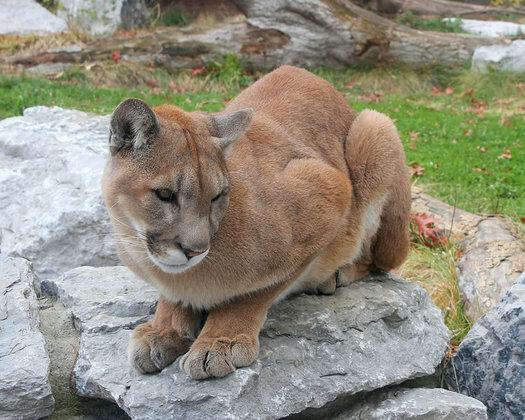 It is illegal to keep wild animals as pets without a permit and DEC has no permits on file for this animal. 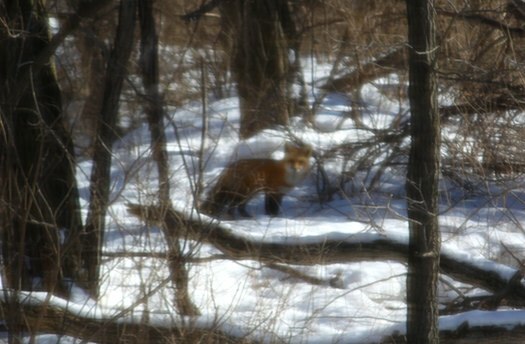 People should either call 911 [if fox is sighted] and they will contact us or they can call the DEC dispatch at 1-877-457-5680. Foxes may look like dogs -- but no matter how you raise a fox, it will still be a fox -- that is, a wild animal. 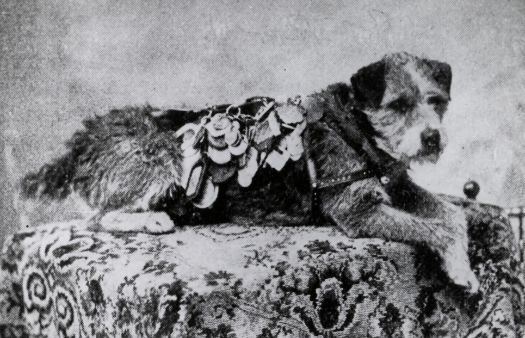 There's a fascinating NOVA episode about dogs -- called "Dogs Decoded" (it's on Netflix streaming) -- that highlights how far removed modern dogs are from their wild cousins . The episode includes a look at a long running study of fox domestication in Siberia, as well as researchers who have tried raising wolf pups like dogs at home. The short story: foxes and wolves are not dogs -- they don't read humans the same way, and they're aggressive. 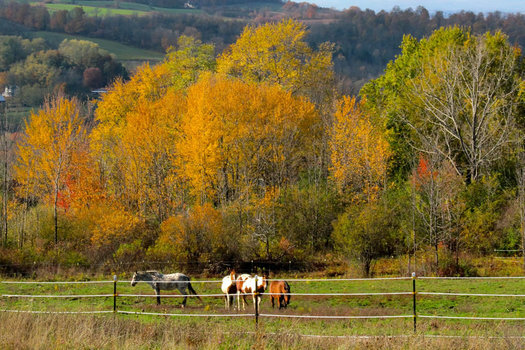 Ten years ago Nanci Beyerl moved to a plot of 10 acres in Pattersonville with four horses. She was looking to escape her own past, and decided offering sanctuary to abused, neglected and overworked horses could be a way to do that. 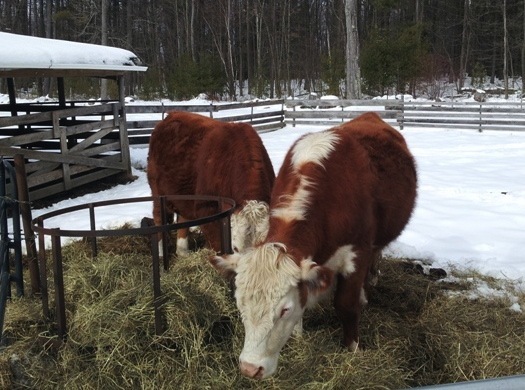 The horse sanctuary she created -- Peaceful Acres -- is now a 156 acre farm and provides a home to 54 horses. And Nanci is helping other people find peace through what she calls "equine guided experimental learning." Not common, but easy to spot. Today's Moment of Nature* comes via Amy Riddell at Emack and Bolio's, who noticed a pair of white squirrels playing (or whatever it is squirrels do) in the ice cream shop's yard. 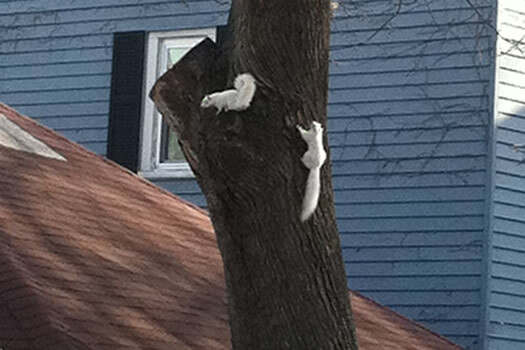 One more Delaware Ave white squirrel pic from Amy is after the jump. * It's like that segment at the end of CBS Sunday Morning in which video of cranes standing in a wetland runs for a minute or two without voice over. And the beady eyes that stare right through your soul. The non-lethal harassment methods used to disperse crows will include pyrotechnics, electronic guards, non-harmful lasers, and amplified, recorded crow distress calls. Several of these methods produce loud noises and flashing lights, (similar to sirens and fireworks) that frighten birds and may be heard or observed by local residents. Biologists will be wearing uniforms and a blaze orange vest marked "USDA Wildlife Services." The first offensive will begin in the Center Square and Sheridan Hollow neighborhoods next Tuesday late afternoon and continue through Thursday. Full details in the press release after the jump. Albany and other Capital Region municipalities and institutions have been taking up arms against roosting crows for the past several winters -- and yet victory remains elusive. The crow is a formidable adversary. Researchers say the birds can use tools, recognize humans and hold grudges (even if you can't figure out what you did to them). 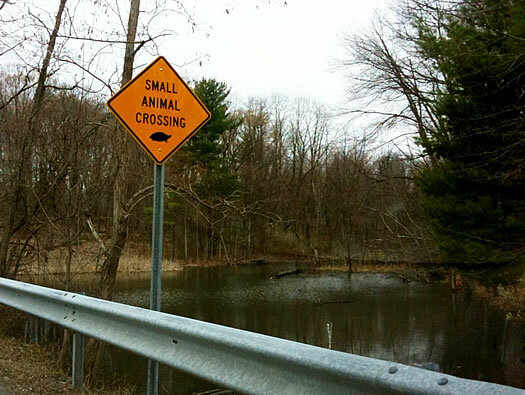 They are highly intelligent animals (perhaps aided by secret government programs -- the TRUTH IS OUT THERE.) Earlier this year the mayor of Amsterdam revealed the crows had cracked the city's waste disposal codes. It's only a matter of time before they learn how to use Twitter and Facebook. Thankfully, the humans have had a major weapon of their own in the form of Green Island mayor Ellen McNulty-Ryan and her trusty pyrotechnic sidearm. But there's only one EMR -- and the crow hordes are vast. Where was this turkey going? Morning walk? Getting coffee? Walk of shame? 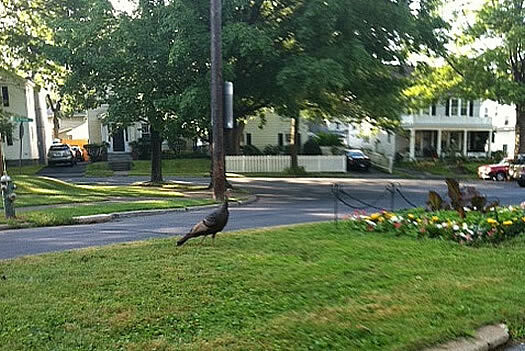 Was driving into work this morning traveling through the Melrose area in Albany and noticed that this turkey was casually grazing right in the middle of Belvidere Ave.! Had to stop and take a picture as I wasn't sure anyone would believe me. Well there it is! Melrose is the neighborhood uptown, between Western and Washington, just to the east of the state office campus. While it's not super dense, it's full of closely-spaced single and multi-unit houses. 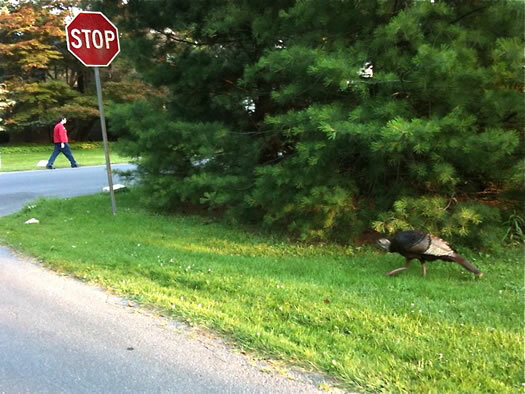 We've seen turkeys at Capital Hills, the municipal golf course on the edge of Albany -- but never right in the middle of a neighborhood like this. Life can throw things at you that are unexpected and terrifying -- and yet, sometimes, it can still work out. Even if you're a dog. Back in April, Blue -- a five-month-old puppy, that's him on the right -- was pulled from the rubble left behind by a tornado that swept through northern Georgia. 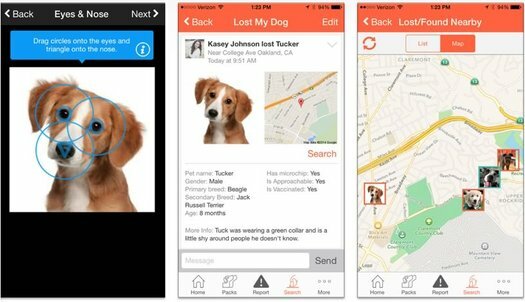 His owners couldn't be found after a month-long search. So Blue was scheduled to be euthanized. That's when a rescue group picked him up from the shelter there. 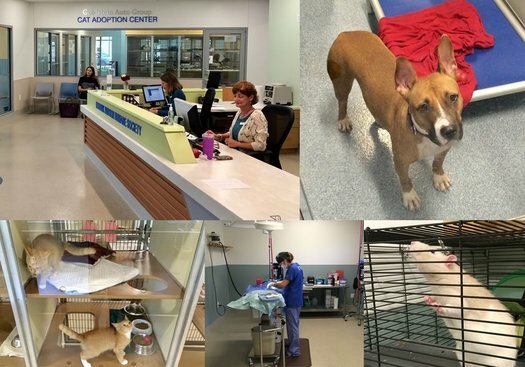 Blue -- and 19 other "storm dogs" from Georgia -- are now at the Mohawk & Hudson River Humane Society in Menands. They're looking for someone to adopt them. We came across this sign while driving around Bethlehem the other day. It made us smile. 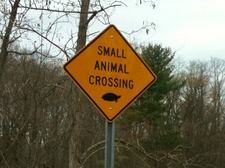 A picture flashed in our mind of a line of cars waiting for a turtle to cross the road. So, bears apparently do not enjoy due process. And the policy seems so blunt (and, you know, kind of vengeful) that we almost wonder if something got mixed up in its communication. Because what if DEC catches a bear, kills it, and then another bear (perhaps the bear) comes back and harasses someone again. Does DEC set another trap, and kill another bear (and so on and so on) until the bear encounters stop? So please don't feed the animals. You're causing problems for all your neighbors. And by trying to help the animal, you could end up getting it killed. What happens is that a bear becomes a nuisance and it gets shot. And the person whose fault that was was the person who started feeding it. It's illegal to feed bears in New York State -- even indirectly, if you've been given notice. 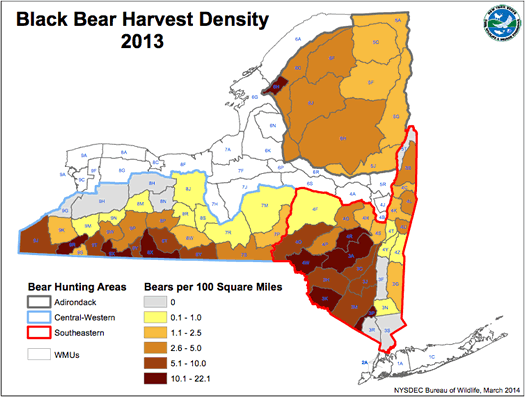 The DEC reported last month that black bear populations are "thriving" in the state and "represent a great resource for all New Yorkers." Update: The woman was attacked told Fox23 that she thinks the bear should not be killed. Earlier on AOA: Foxes and fishers and bears, oh my! 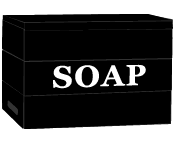 We're pulling out the AOA soap box each Sunday for people to praise, complain, suggest, joke, or make an observation about things they see going on in the Capital Region. 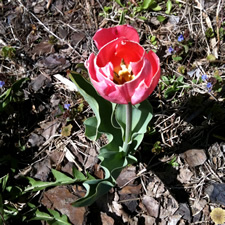 It's been a long, hard winter, but now that spring is getting a grip on the ice and snow, things are finally looking up. 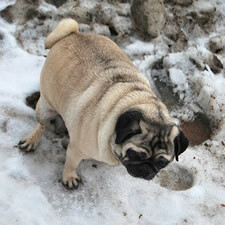 Some people are waiting for the crocuses to peep their heads out, others for the red winged blackbirds to hit town. Me? 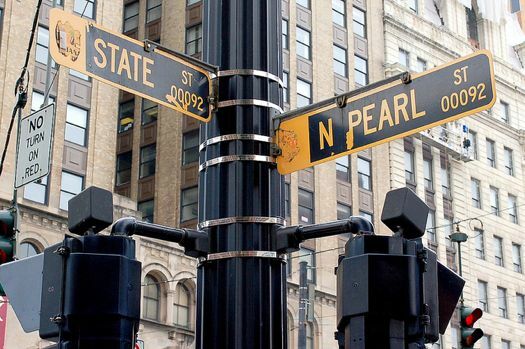 I'm looking for a squirrel, known downtown as the Earl of Pearl. The College is working with the US Department of Agriculture to address the volume of crows on campus and some of the issues that go along with their presence. Over the next week to ten days the USDA will be on campus, typically in the evening hours, and they will use techniques that include fireworks and "starter pistols." We apologize for any disruptions and also want to inform you of this so that you are not startled or threatened by the noises. Communities all over the Capital Region have joined the War on Crows each winter for the last few years. Among the tactics: the aforementioned fireworks and pistols, recorded crow distress calls and... lasers. And yet victory has remained elusive. The crow is a formidable adversary. Researchers say the birds can use tools, recognize humans and hold grudges (even if you can't figure out what you did to them). The mayor of Amsterdam recently revealed the crows had cracked the city's waste disposal codes. It's only a matter of time before they learn how to use Twitter and Facebook. The one ray of hope in this conflict: Ellen McNulty-Ryan, the mayor of Green Island, who told the Troy Record last year that her city hasn't had a roost in eight years, thanks to her skill with a pyrotechnic pistol. She may be the last bulwark against the inevitable crow uprising. You can't exactly go out to your backyard and watch fisher behavior. 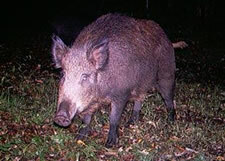 They do their best to avoid people, coming out at night and moving quickly and quietly through the forest. Furthermore, your presence would change their behavior, and also alert the prey they are trying to sneak up on. Over the next few weeks Scott and I will be opening the biologist's toolbox wide to peer into their lives without affecting their behavior. 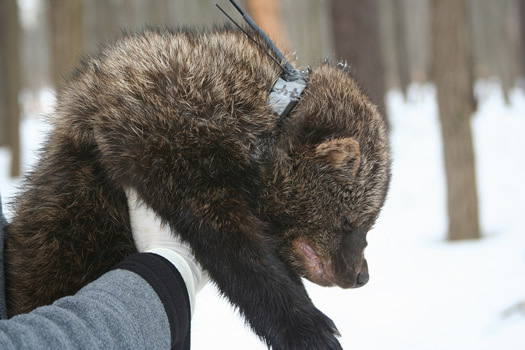 We are deploying small GPS tracking collars to see exactly where the animals go, and tiny three-axis accelerometers to characterize their behavior. We use motion-sensitive camera traps to document their prey populations and monitor key movement corridors. Finally, we follow their tracks in the snow to see for ourselves what they did the night before, what and how they hunt, where they sleep, and with whom. The fieldwork is challenging, but gives us a well-rounded view on how this weasel has adapted to urban forests. Kays has been pursuing this research for a few years now. We talked with him about fishers two years ago -- it's still one of our favorite AOA interviews. 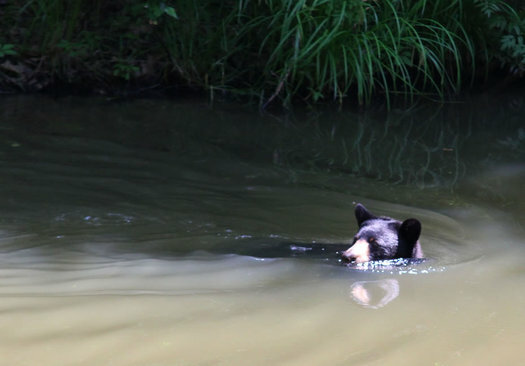 The DEC reported last year that bear populations in the state are growing. And every year a few wander into parts of the Capital Region where you wouldn't necessarily expect them (hello, Troy and Delmar). 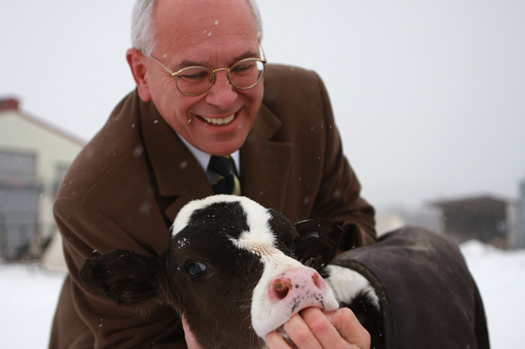 The other thing that can drive populations really high is feeding the animals. It's really important that people appreciate the animals and the rare glimpses they get, but not feed them because that causes numerous problems. You know, if you have a coyote that's used to coming into a backyard looking for food, then maybe it goes into your neighbor's backyard and they have a one-year-old kid or a dog or cat and you potentially have a problem. 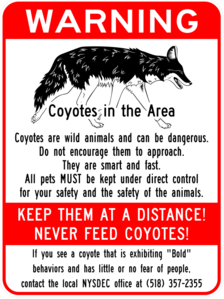 That hasn't been a big problem here, but it has in other regions with coyotes. And keep an eye on those picnic baskets -- we understand the smarter-than-average bears have a keen interest in them. + The amendment would only allow hens -- no roosters, and no other farm animals. 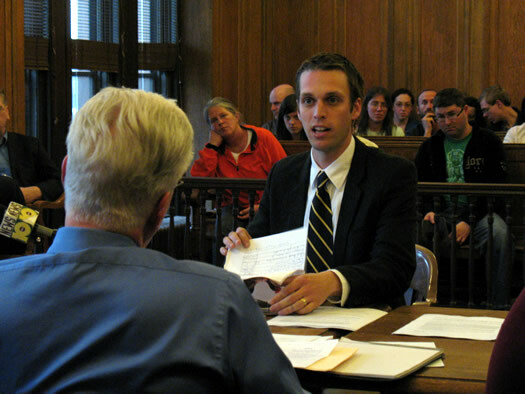 + People wishing to keep hens would have to get a permit from the city clerk. 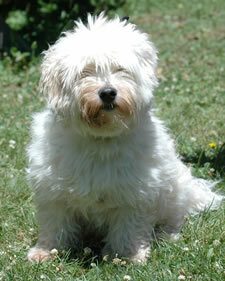 + There will be a fee associated with the permit (equal to the fee paid for a dog license). 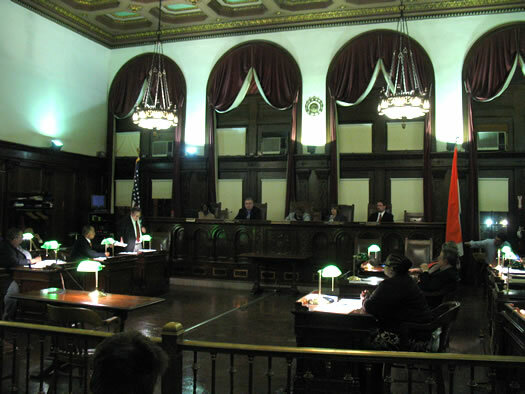 "adequate evidence that the applicant has notified all of the property owners and residents within 50 feet of the property lines of the property on which the hens are to be kept and in the case of multifamily dwellings, the express written consent of the owner of the building and all tenants residing in the building other than the applicant"
+ The application would grant the city's codes office the right to inspect the property "at any reasonable time." + Inspections will look to see that the hens have a pen, that it's in good repair, clean, and "free of vermin, obnoxious smells and substances." 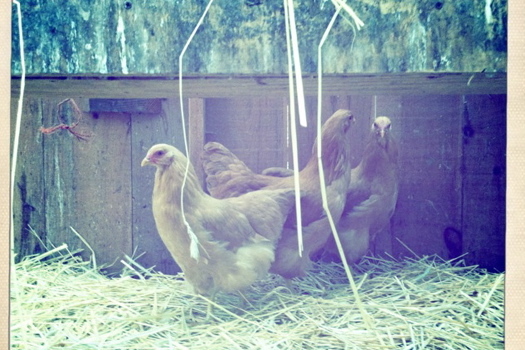 Other criteria include a lack of noise, and suitable conditions for the health of the hens. The pen would also have to be 15 feet from any building capable of housing people. + If an inspection finds people aren't following the rules, the permit can be revoked. The full proposed amendment is embedded after the jump. Albany residents Michael Guidice and Jen Pursley keep a handful of chickens in a coop in their Grand Street backyard. Or, they did -- until last week, when code enforcement officers knocked on their door and let them know the chickens would have to go. Now Michael and Jen, along with 1st Ward Councilman Dominick Calsolaro and a handful of supporters, are working to change Albany's law -- and show people that keeping urban chickens can be a small step toward a sustainable downtown. The kids near my back yard said it was a woman who looked like a crackhead, and she was muttering something about eating it. I drove all around my area asking people if they'd seen anyone carrying around a chicken. Most people thought I was joking. A little girl a block or two from my house said she'd seen her round the corner onto 4th St. After a while I just had to give up. I think the most frustrating thing is that she is a pretty light chicken, not good for much food, and if someone is hungry they could stop by the Unity House or Joseph's House. That's a photo of Emily's missing hen on the right (click for a larger view). Emily posted a video this past summer giving a tour of her backyard chicken setup. Chickens are allowed in Troy (but not in Albany and Schenectady). 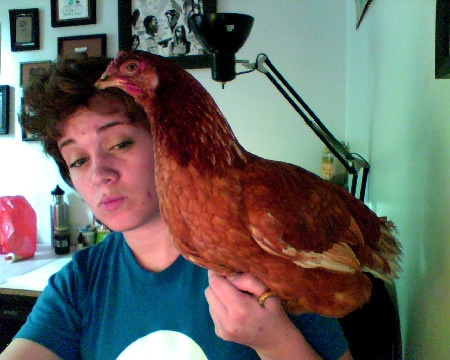 As strange as it may sound... if you see someone carrying a chicken around South Troy, please contact Emily. She's @ChateauOfADoubt on Twitter. What's that in the spare room? Snake! You don't mind if I stay here a few days, right? 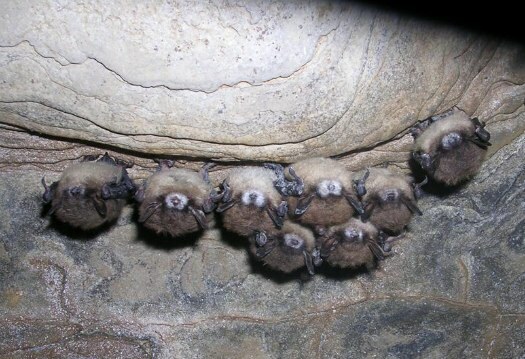 When you rent an older apartment, you kinda have to expect a few unwanted visitors: some odd bugs, maybe a mouse -- a bat, if you're unlucky. But a three-foot-long white snake? No way. No. @#$%. Way. I have a cat that is 18 years old. He's been with me since right after I moved to the Capital District. 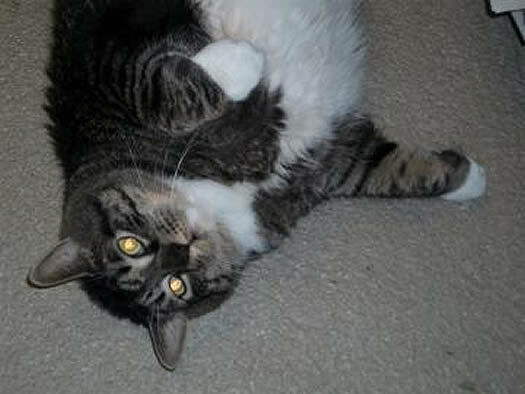 He's been a lively, healthy guy, 18 years is well past the typical feline expiration date already, but now his clock is reaching its final ticks, and as much as I wish I didn't have to, I know that sooner rather than later I will have to do my final job as a loving, responsible caretaker for him and have him put down. 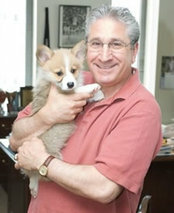 My question is this: do any of your readers know of a vet that will makes "final house calls" and come to my home? I would like to give my little guy as much security and comfort as possible on his final day, vs. putting him into a plastic crate and driving him to a vet's office and a chrome examination table. Thank you in advance - while I grew up with pets, this is the first time I've ever "owned" this responsibility, and it just feels awful. We haven't heard about any clinics that offer this service -- but we had a question not too long about veterinarian care for cats, and a few places got multiple recommendations (Bloomingrove, Parkside). They might be a good place to start inquiring about an in-home visit. We hope you have suggestions for Terry. It appears that Romeo, the peripatetic peacock of Schenectady, is still on the loose. Another sighting popped up on Craigslist yesterday, along with a photo (right). 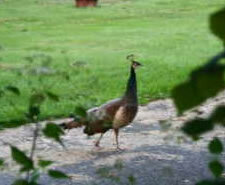 Earlier postings indicated that peacock had left his Juliet at home on Maxon Road and gone for a walkabout in early August. It sounds like he's been sticking around the neighborhood north of Union College. This latest sighting had him at Foster Ave and Gerling Street. And a comment here on AOA last week by SB also had him sighted him on Foster. 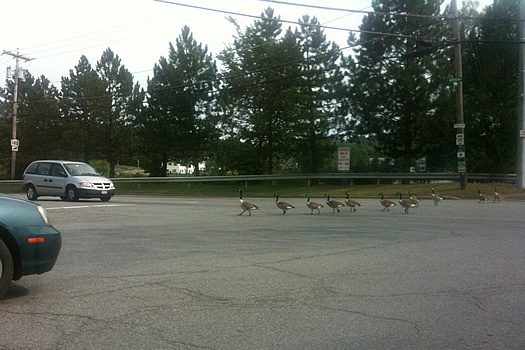 Peter sent along this pic of cars stopped along Route 40 in Troy so a gaggle of geese could cross. Also, geese apparently don't think much of crosswalks. Just before sunset this evening I realized one of my cats was staring insanely at the roof of my very tall garage. To my surprise, the cat was staring at an almost mature (or quite under-nourished) peacock. He seemed undisturbed by the neighbors, but took off as soon as my stupid camera made a noise. 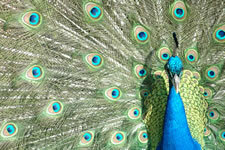 Two other postings reported sightings north of campus, including a stroll across Van Vranken Ave. And yet another reports the peacock's name is "Romeo" and he's from a home on Maxon Road (where his "Juliet" awaits -- we so hope that posting's true). We'd love to hear if Romeo makes it back home. 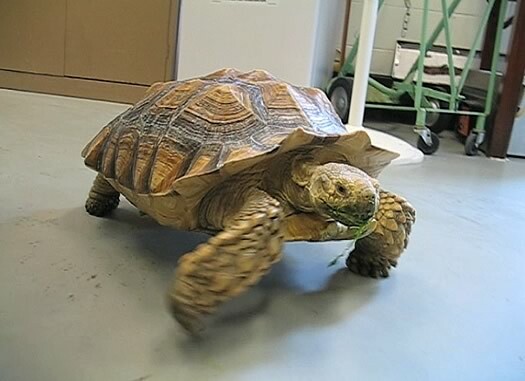 When a 30 pound cat showed up at the Mohawk and Hudson River Humane Society last week, the inevitable question was: who is this guy? And what has he been doing to get that... rotund? The answer: livin' large. After the jump, a handful of photos from The Secret Photostream of Flabby Tabby. Emily lives in Troy. And she has chickens. In her backyard. 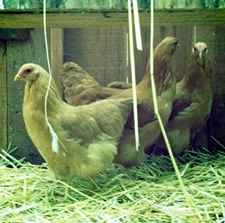 There apparently is a bit of a backyard chicken boom right now (with some doubts). Urban chicken advocates say there are a handful of reasons to have a few hens out back (you know, in addition to the eggs). We're pretty sure we saw him smiling. They walked up from the Port of Albany. 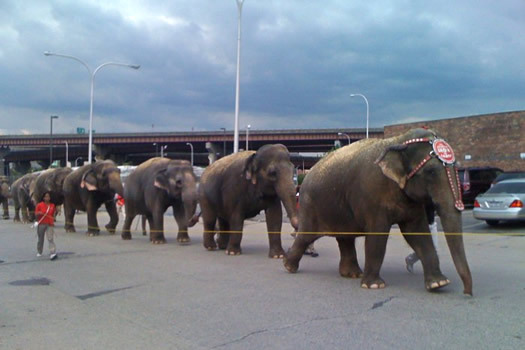 Via @woodzepper come these photos of the Ringling Bros Circus elephants making their way through downtown Albany this morning. The circus is at the TU Center this week. The use of elephants in circuses has increasingly come under criticism in recent years. Animal advocates allege that circuses, use cruel measures to train the elephants. Ringling Bros has specifically been accused of abuse. A federal judge ruled in favor of Ringling Bros' parent company at the end of last year in a suit that alleged abuse. 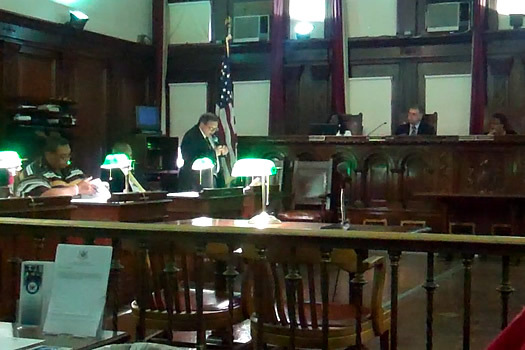 Recently in Albany, common councilman Anton Konev proposed a measure that would ban use of "wild or exotic" animals for shows such as circuses. The ban would also apply to rodeos. More elephant photos after the jump. 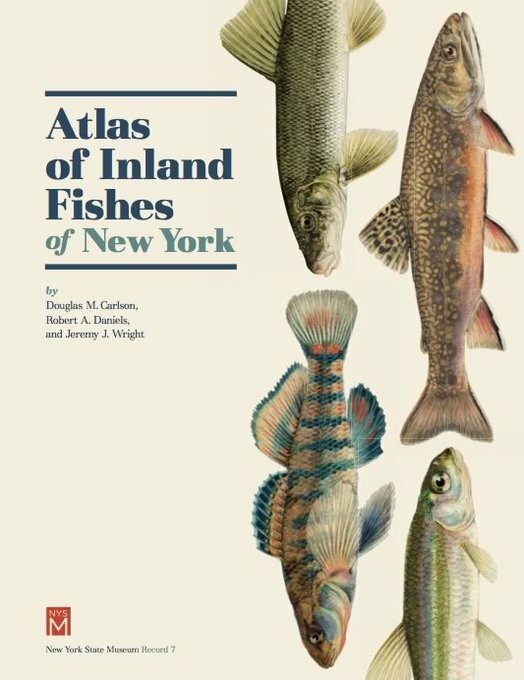 Who knew: Six Mile Waterworks in Albany contains largemouth bass, sunfish, yellow perch, chain pickerel, brown bullhead and rainbow trout, according to DEC. 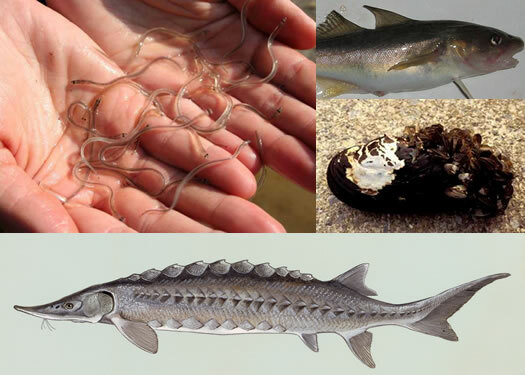 The state will be stocking the waterway with 2,000 more "catchable size" rainbow trout Thursday . By the way: the "Six Mile Waterworks" name comes from the fact that the Patroon Creek was dammed six miles from Albany city hall. The state Department of Environment Conservation reported that the number of bears "harvested" in 2009 was the second-highest total on record. The DEC says hunters killed 1,487 black bears last year -- that's up 15 percent from the year before. 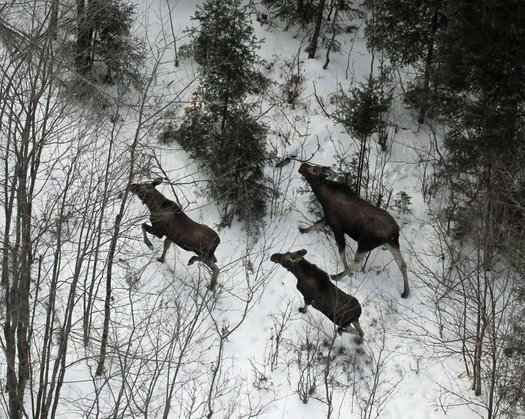 Most of the bears were killed in the Adirondacks, Catskills and Southern Tier -- but there were 21 kills in the four core counties of the Capital Region. 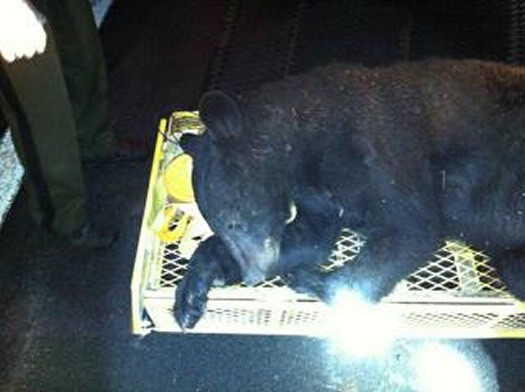 Nineteen bears were taken in Saratoga County (including on in the Town of Saratoga) and two in Albany County (in Berne and Westerlo). That's up from 17 in the core Capital Region in 2008. 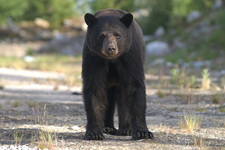 DEC says bear populations in New York State are growing. Eagles: The DEC also reported this week that "preliminary results indicate that the bald eagle population in New York State may be at an all-time high since the state began its repopulation efforts more than 30 years ago." Jackie spotted two bald eagles on the frozen Moreau Lake in January. As an adult, this guy could go for as much as $45 on the black market. 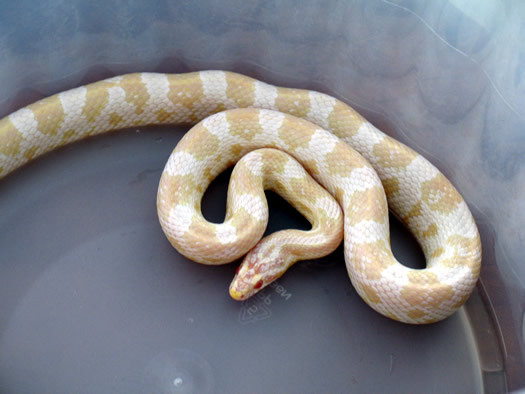 Earlier this year, the state Department of Environmental Conservation announced it had busted a bunch of people as part of an undercover investigation into the black market trade of protected reptiles and amphibians. Capt. Michael Van Durme, one of the leaders of "Operation Shellshock" will be speaking at SUNY Cobleskill tonight about his experiences with the investigation. We figured you can't go undercover into the world of reptile and amphibian smuggling without coming away with some interesting stories, so we bounced a few questions his way. Capt. Van Durme sent back answers about microchipped turtles, priceless snakes, and nuns shopping for pythons. 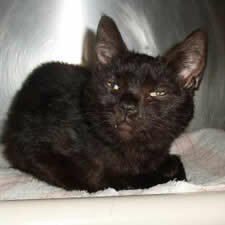 Clyde was caught in a trap last night next to his new home away from home in Guilderland. He was licking his chops and very pleased with himself. Thanks to everyone for their good thoughts and prayers....I'm very grateful for all the local, friends family and internet support! 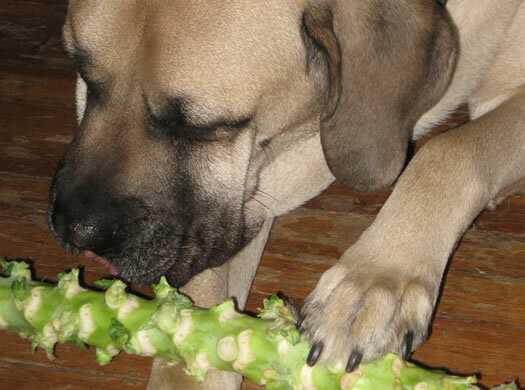 Clyde will no doubt have some interesting stories for his dog friends when he returns home. On our way out to breakfast yesterday we met some unexpected neighbors. Baby turtles. Sixteen of them. In our driveway. A handful of pictures are after the jump. Oh, hello -- I'm just checking to see if my package arrived. 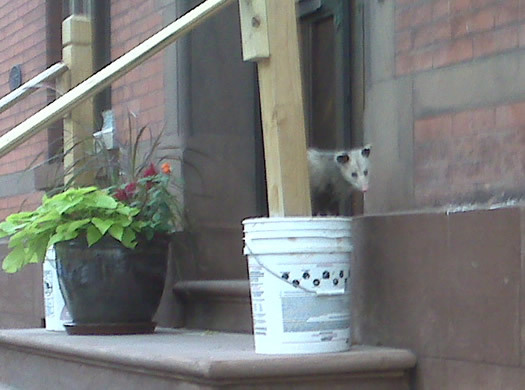 I was walking down State St. [in Albany] to work this morning at about 8am, and I saw a POSSUM on the front stoop of 257 State St! Unfortunately I only had my camera phone, but you can see him pretty clearly sitting on the bucket. I used to have a possum that lived in the backyard of my building, who would eat my garbage at night, but I never thought I would see one a). in broad daylight*; and b). on the street. Incidentally, this happens to be my landlord's house, so after snapping some photos I called him so he was aware of his visitor. *If you can call this cloudy, overcast, nasty weather "daylight." We also recently spotted one of these things. 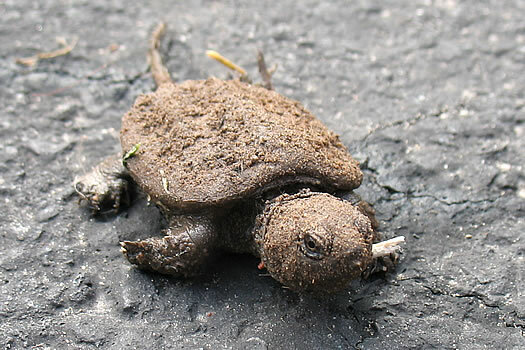 It was crossing a street in uptown Albany and it was huge -- like as big as a well-fed house cat. 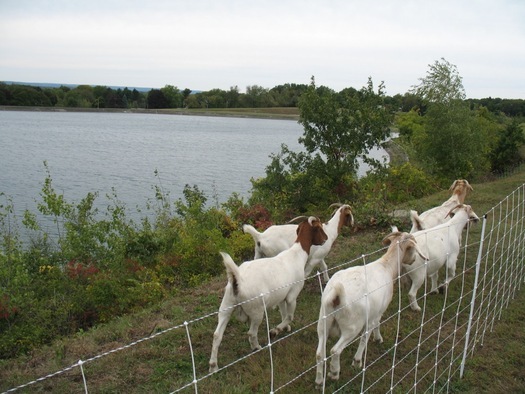 When the Catskill Game Farm closed its doors for good in 2006, many of us were left wondering what would fill the zoo void. Looks to me like Adirondack Animal Land in Gloversville may be the leading contender. 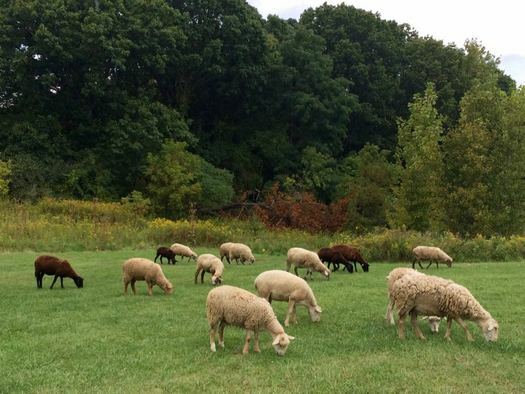 Alas, Ba Ba did not say "baaa baaa" while we were there. This is Ba Ba. 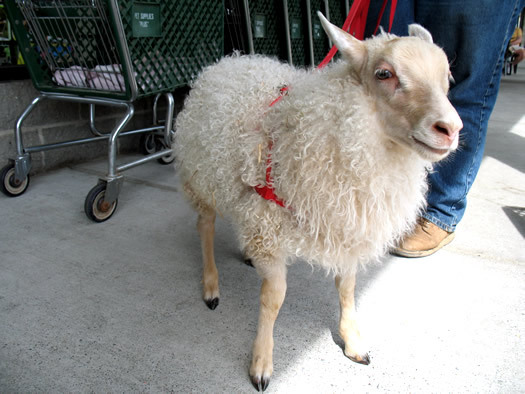 He's a six-week-old sheep from Krumkill Stables. Ba Ba and his person, Barbara Shuefelt, were at the University Plaza on Western Ave in Albany on Friday to run some errands -- including a stop at the Pets Supplies Plus there. Yep, he went into the store, too. Barbara has been taking care of Ba Ba since he was orphaned at four days old. 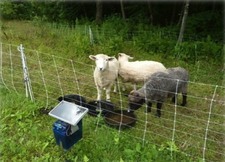 The sheep has a big summer ahead of him -- he'll be taking part in Krumkill's summer camp. A few more pics of Ba Ba are after the jump. Where's their luggage? In their trunks. 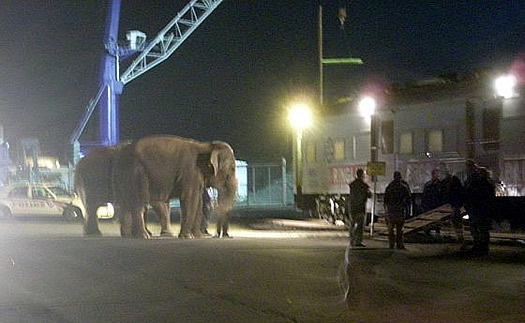 Melissa snapped this pic of the circus elephants being unloaded late last night at the Port of Albany. As she emailed: "It was pretty neat!" The elephants only had a short trip here -- they were coming from Rochester. That furry guy in the picture above is a fisher. His name is Bernard. He was caught by some scientists in the Albany Pine Bush recently as part of research into why he and his fisher friends have decided to take up residence in suburban parts of this area (they've been spotted around Albany and Saratoga counties). What, you've never heard of fishers? Very few people have. 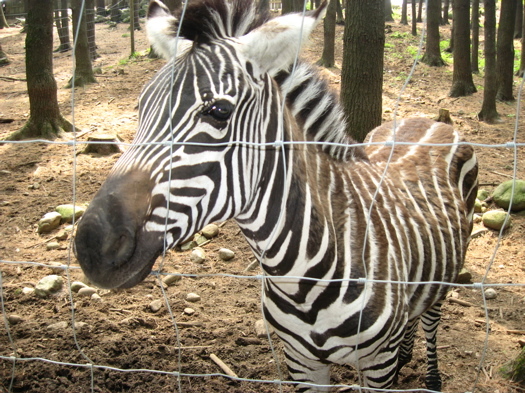 The animals were extraordinarily rare in this area as recently as the 1990s. Intrigued by our new neighbors, we called up Roland Kays this week. 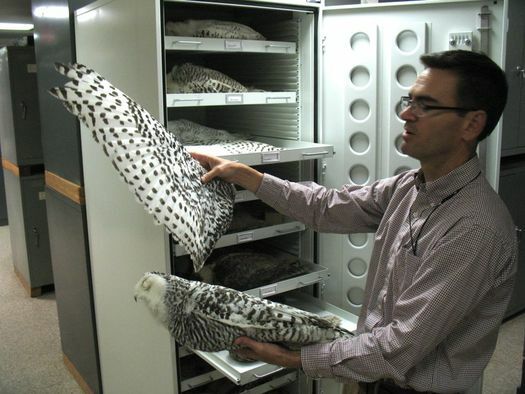 He's the curator of mammals at the New York State Museum and he's leading the research project that captured Bernard. We talked with Roland about fisher mysteries, coked up wolverines, cat murders, squirrel horror movies and "the landscape of fear." Ann Edie, the Guilderland woman who uses a miniature horse -- named Panda -- as a guide animal, was on Rachael Ray's talk show yesterday (video). The segment shows Edie and Panda walking around their neighborhood, strolling through Crossgates and playing fetch. Edie says in the segment that sometimes people think Panda is just a big dog. Edie and Panda were recently featured in a NYT Mag story about assistance animals. 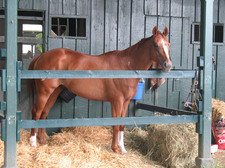 We saw a guide-horse-in-training this past summer on Broadway in Saratoga. 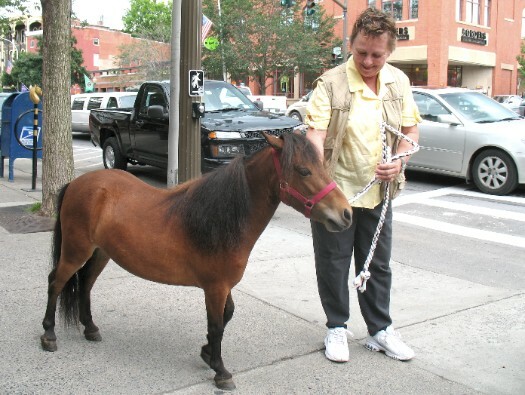 We saw Mexicali Rose, a guide horse in training, walking down Broadway last summer. There are no sidewalks in Edie's neighborhood, so Panda led her along the street's edge, maneuvering around drainage ditches, mailboxes and bags of raked leaves. At one point, Panda paused, waited for a car to pass, then veered into the road to avoid a group of children running toward them swinging glow sticks. She led Edie onto a lawn so she wouldn't hit her head on the side mirror of a parked van, then to a traffic pole at a busy intersection, where she stopped and tapped her hoof. "Find the button," Edie said. Panda raised her head inches from the pole so Edie could run her hand along Panda's nose to find and press the "walk" signal button. Check out this pic of Edie and Panda in Staples. We'd never heard of using horses this way until this past summer. 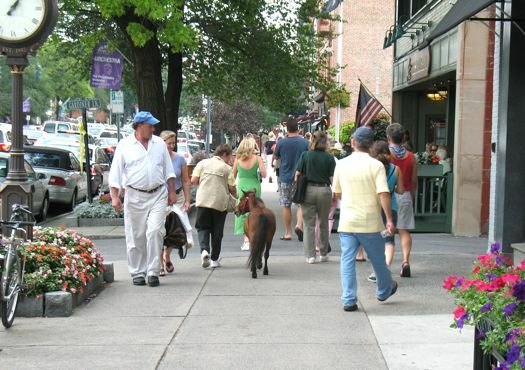 We were sitting in the window of the Uncommon Grounds in Saratoga when we saw a woman cross the street with the tiniest horse we'd ever seen. Yep, you just walked past a horse. Everyone's heard of guide dogs, but how about a guide horse? We didn't know such a thing existed until we saw this candidate today on Broadway in Saratoga. "Mexicali Rose" was getting a tryout for guide horse training. Mexicali's owner, Becky Montano, raises American Miniature horses on a farm near Gloversville. She says that horses are natural guide animals because as prey -- not predators -- they're always on the lookout for potential dangers. And she says that the mini horses are a good alternative for people who are allergic dogs, or are maybe not comfortable having dogs around. More pics of Mexicali after the jump.